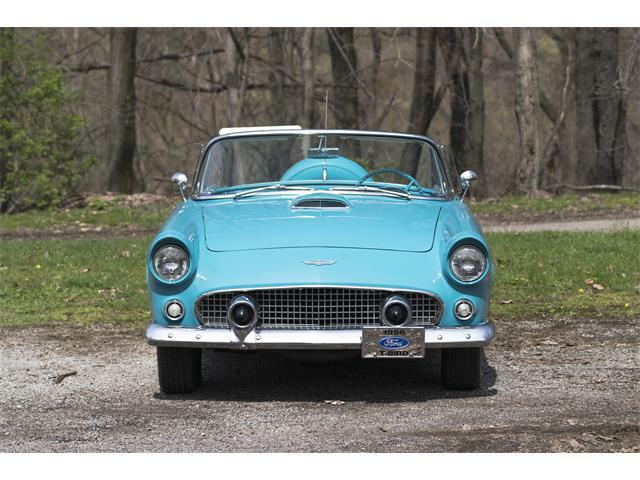 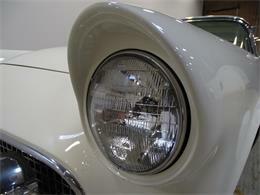 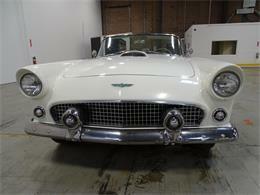 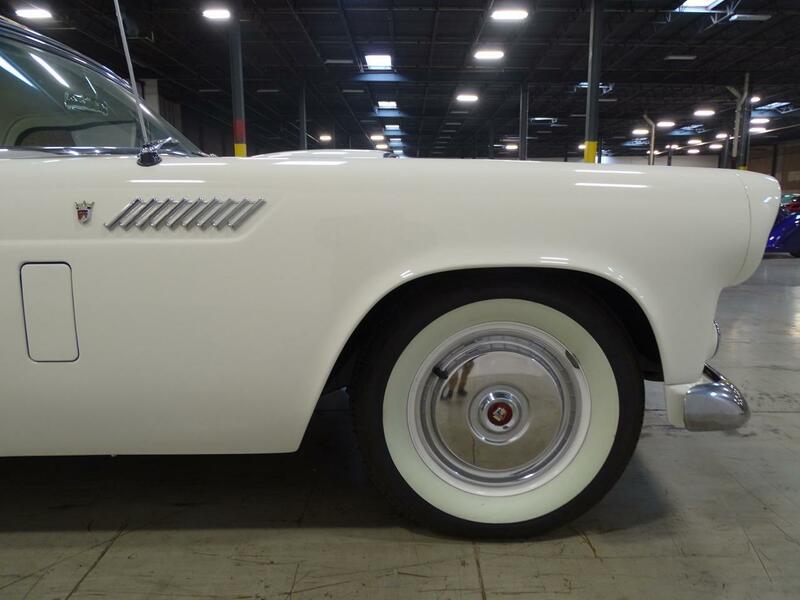 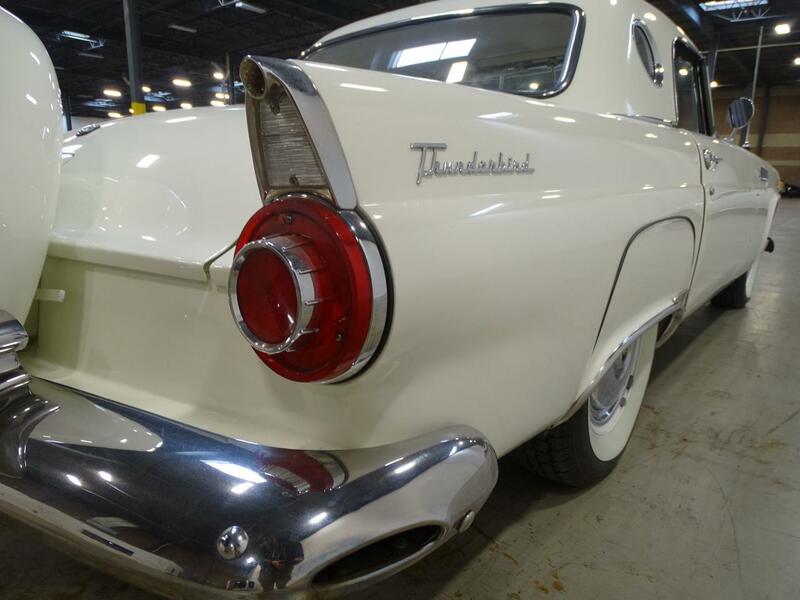 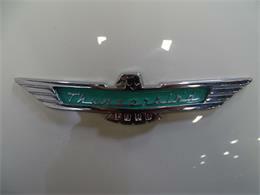 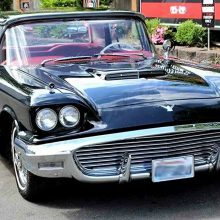 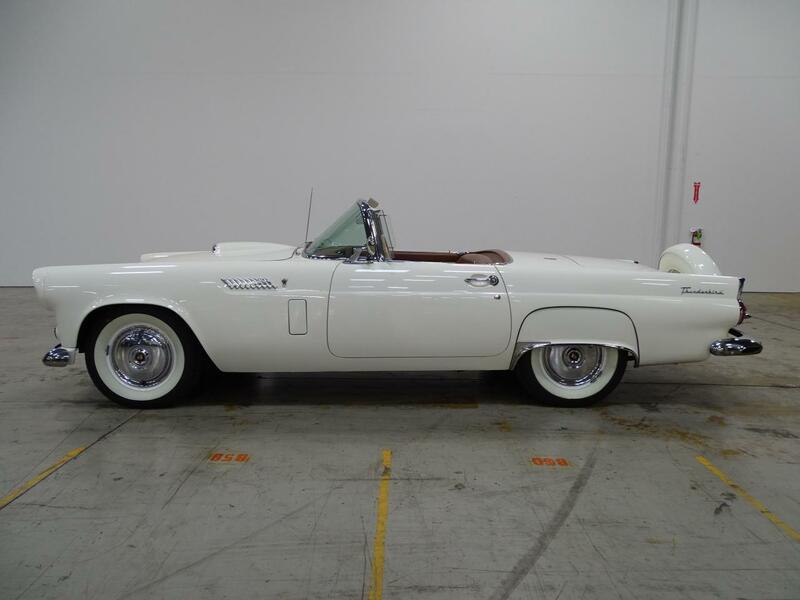 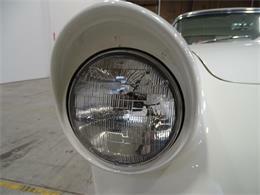 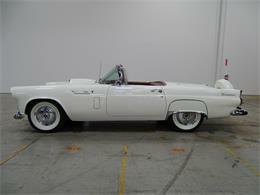 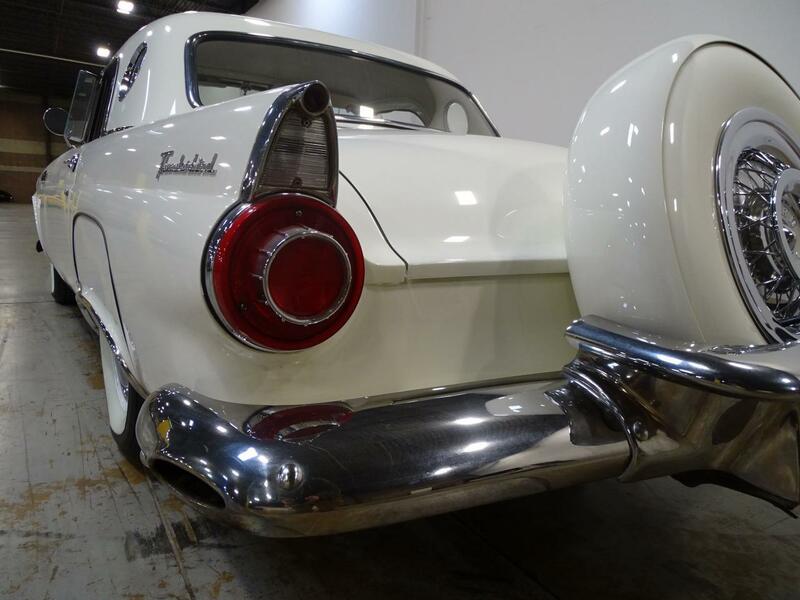 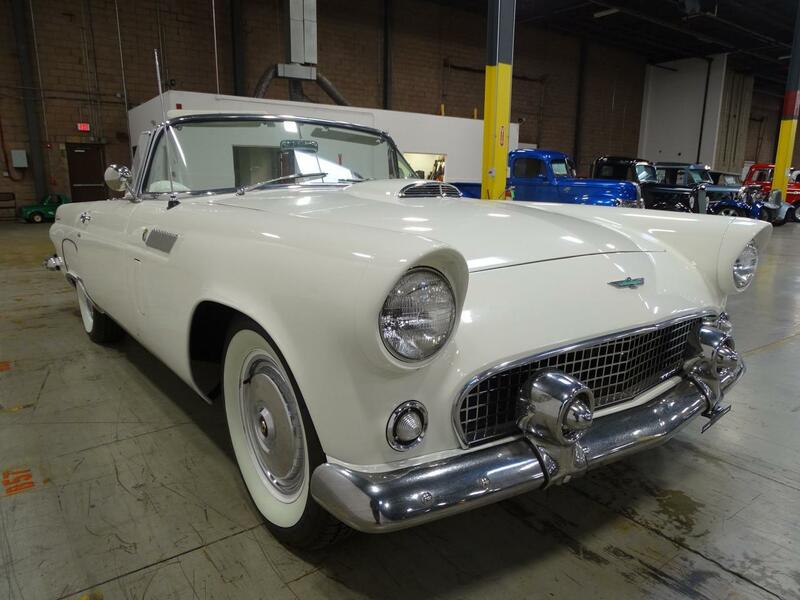 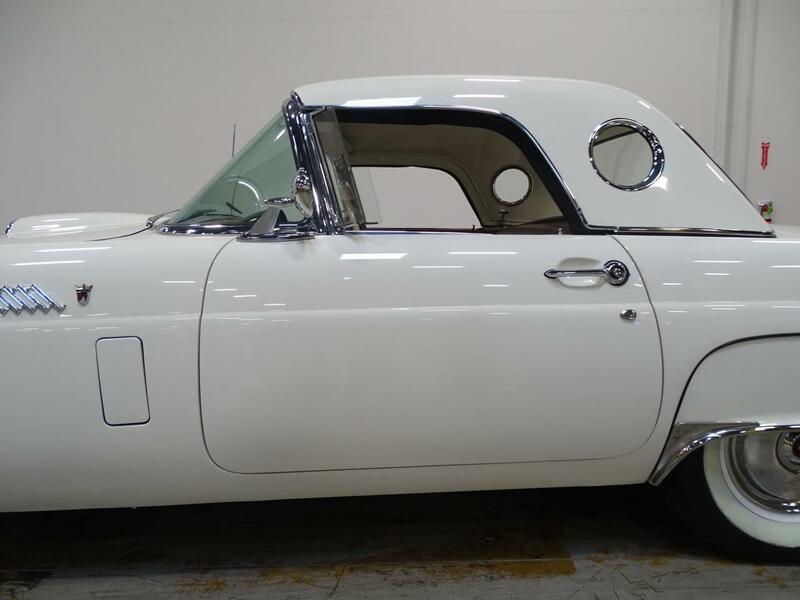 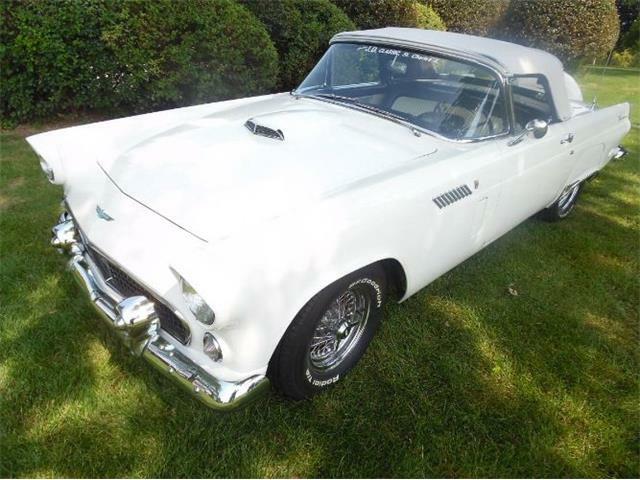 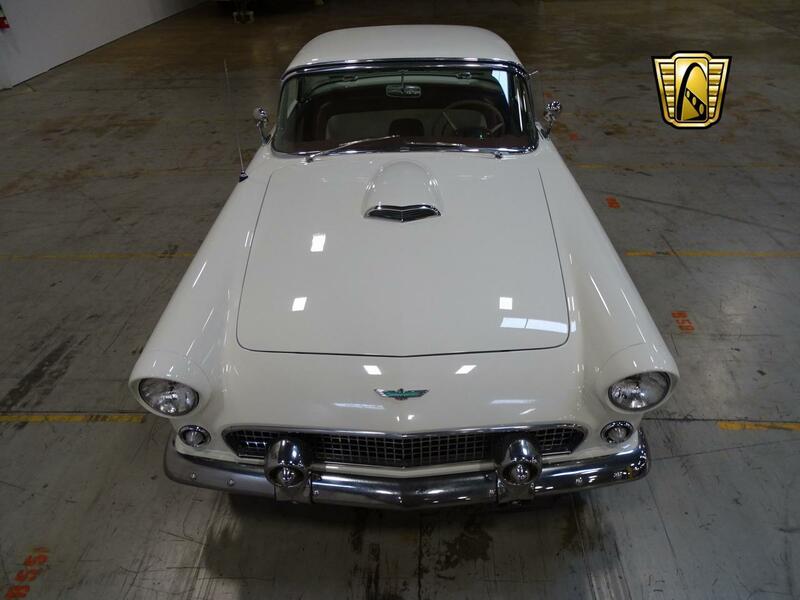 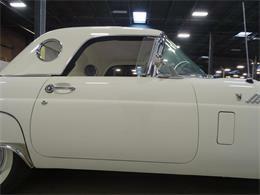 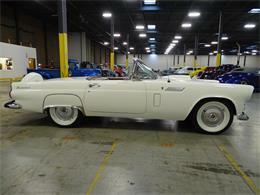 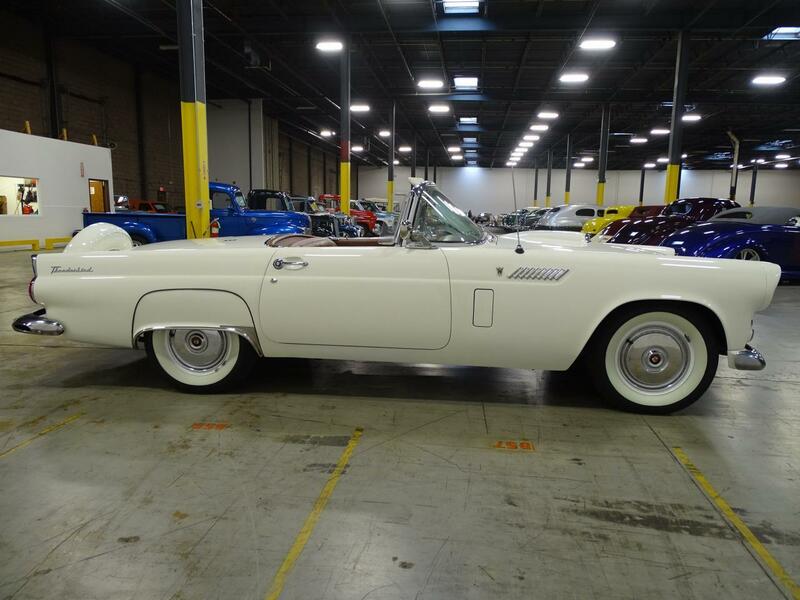 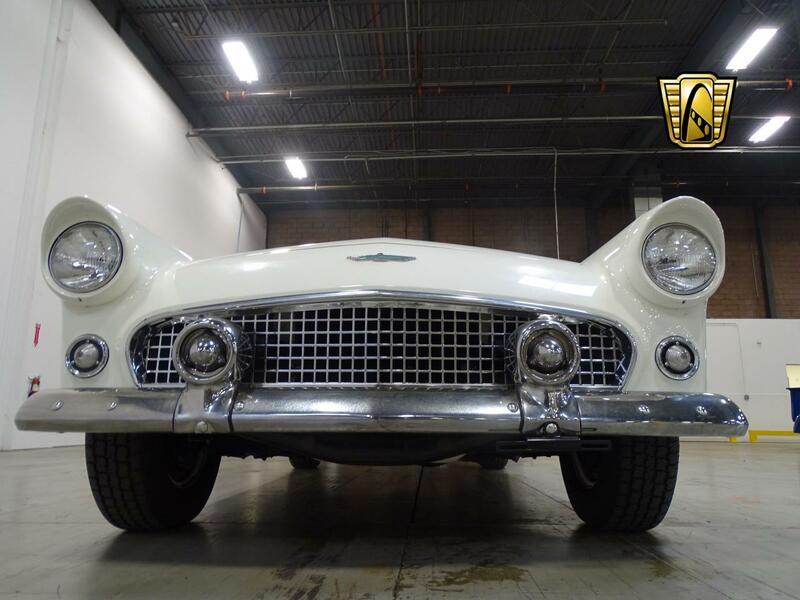 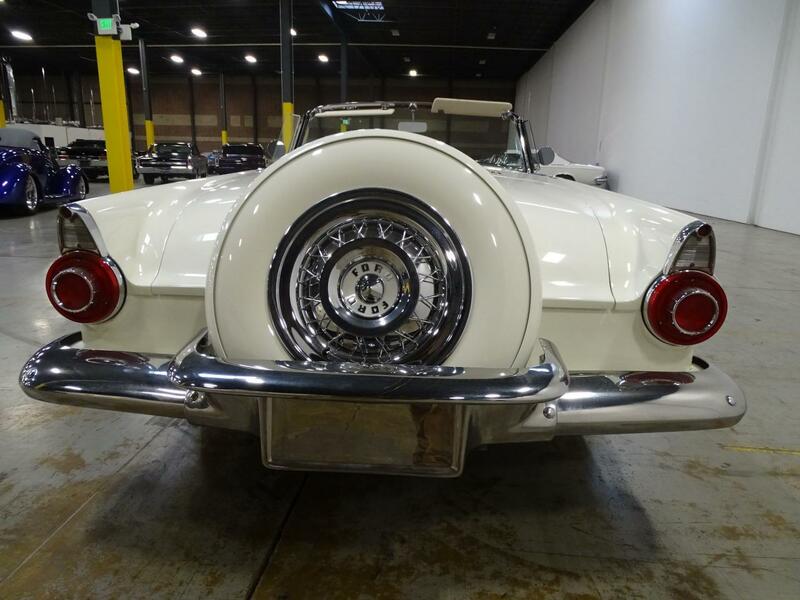 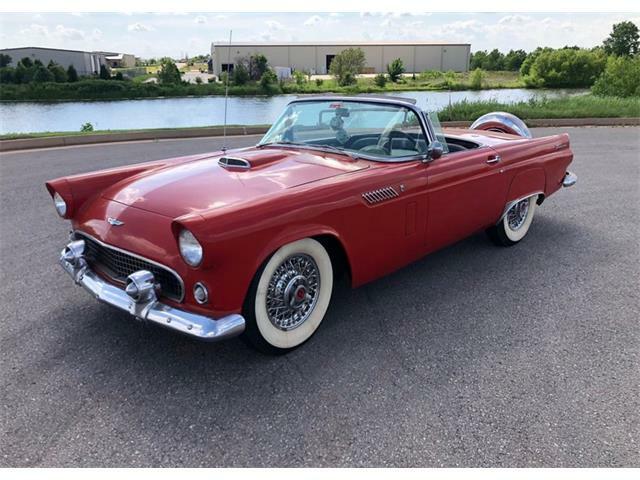 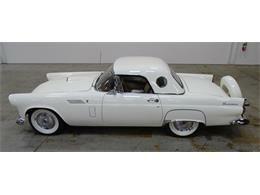 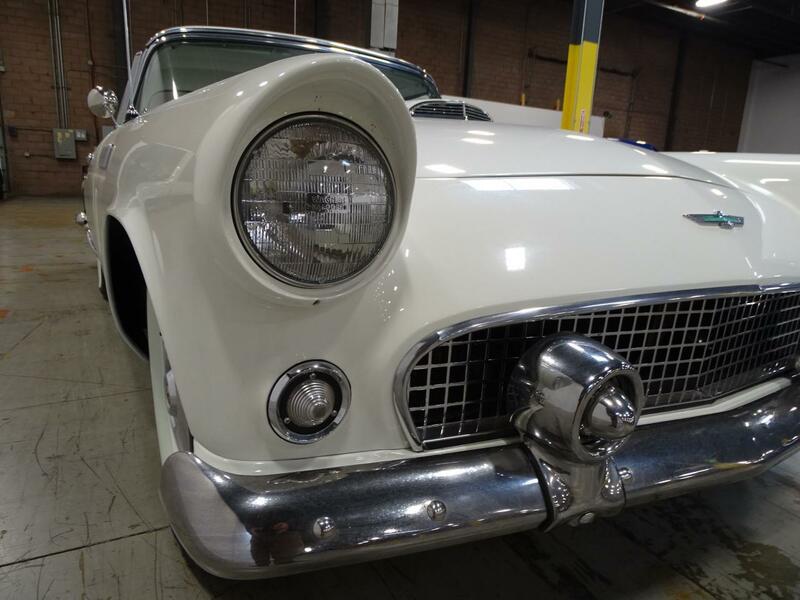 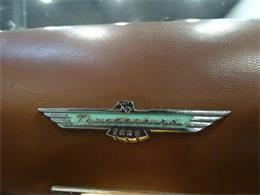 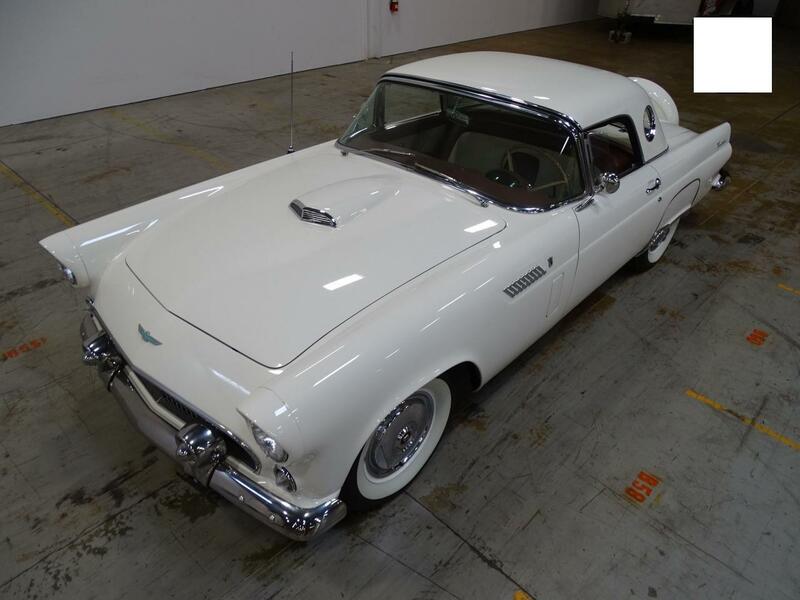 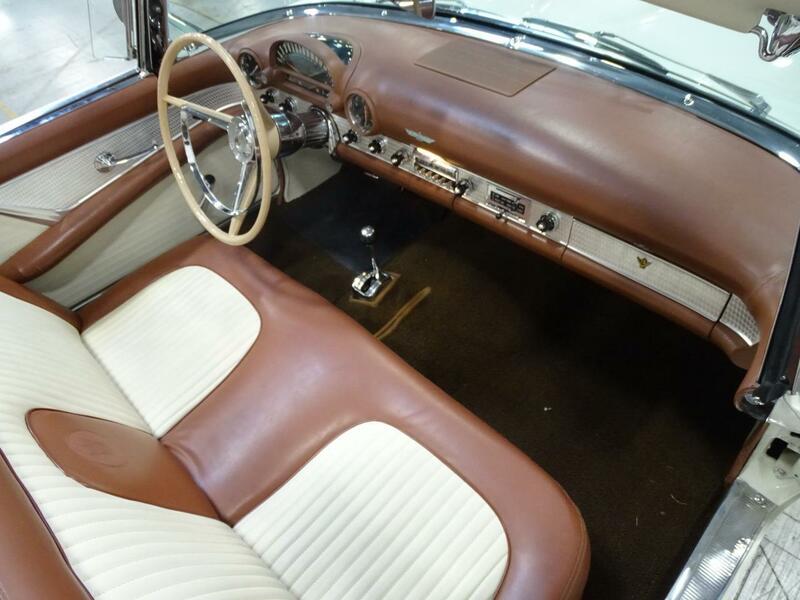 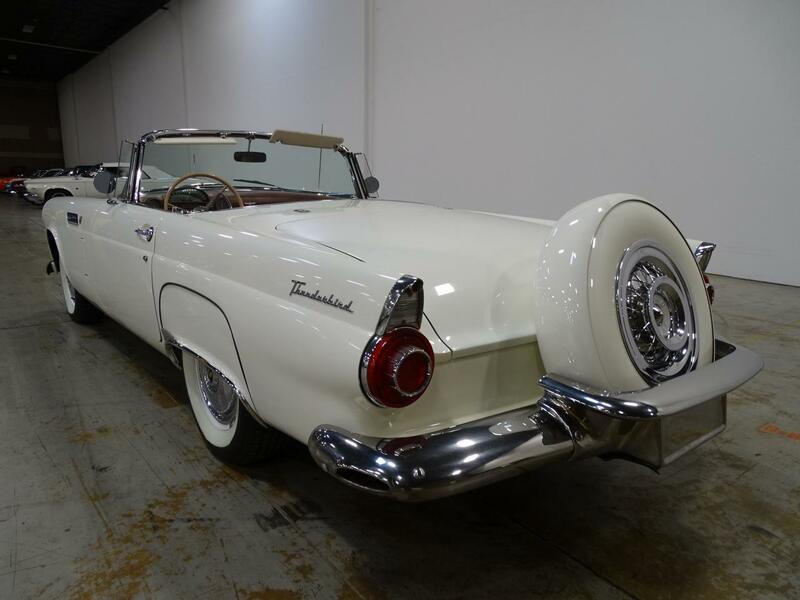 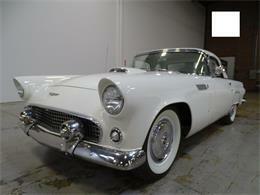 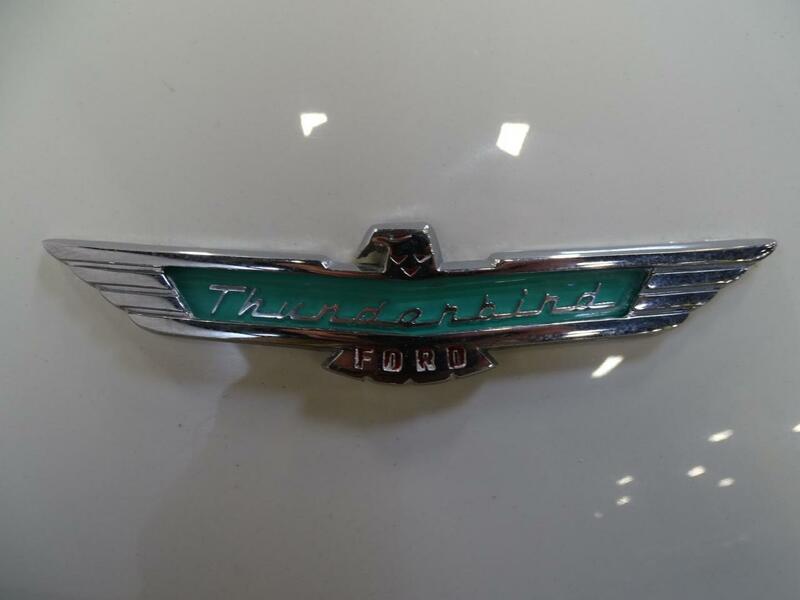 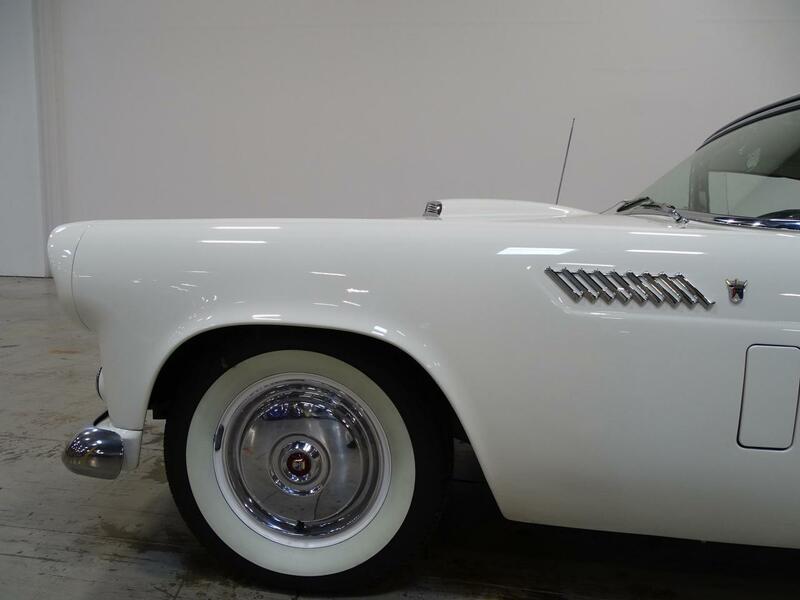 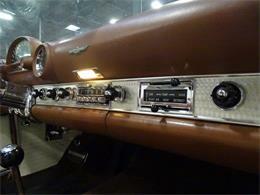 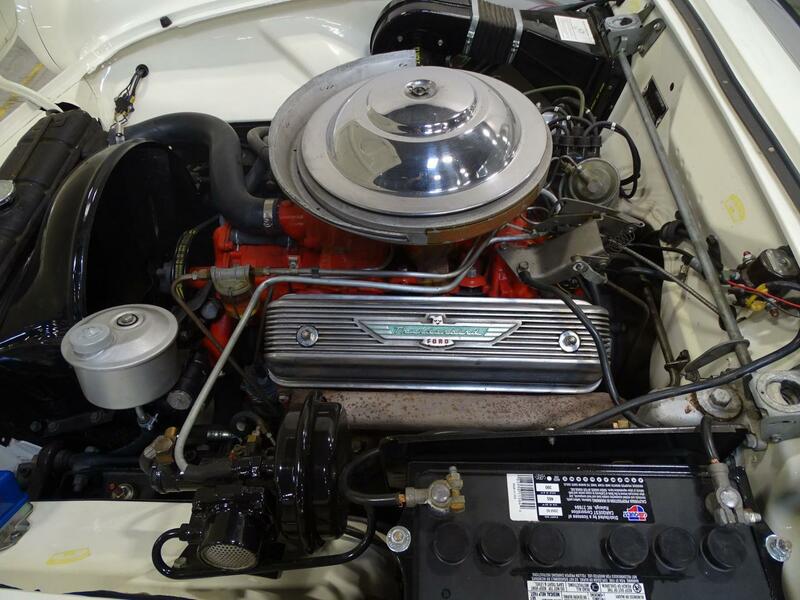 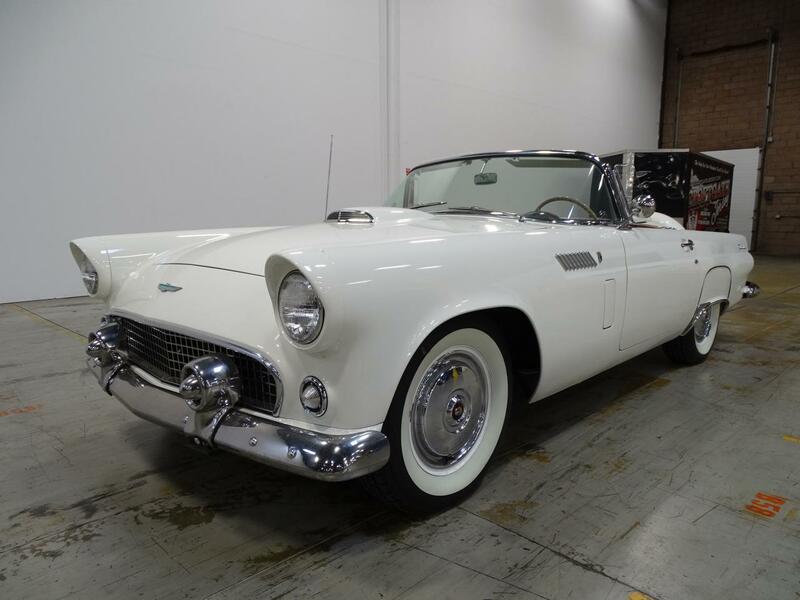 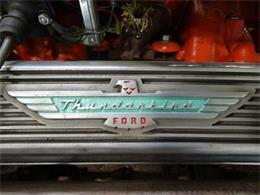 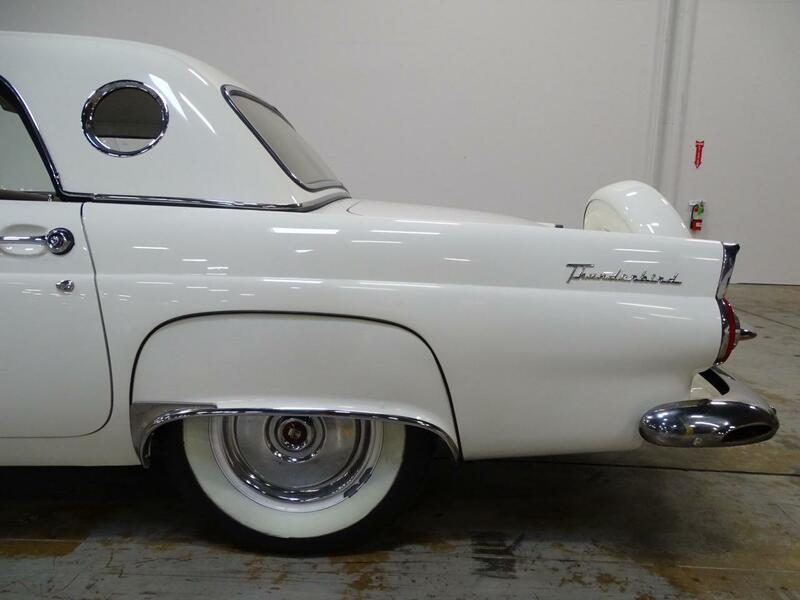 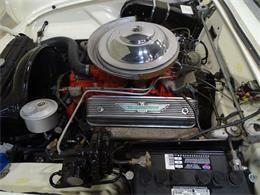 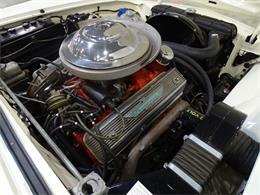 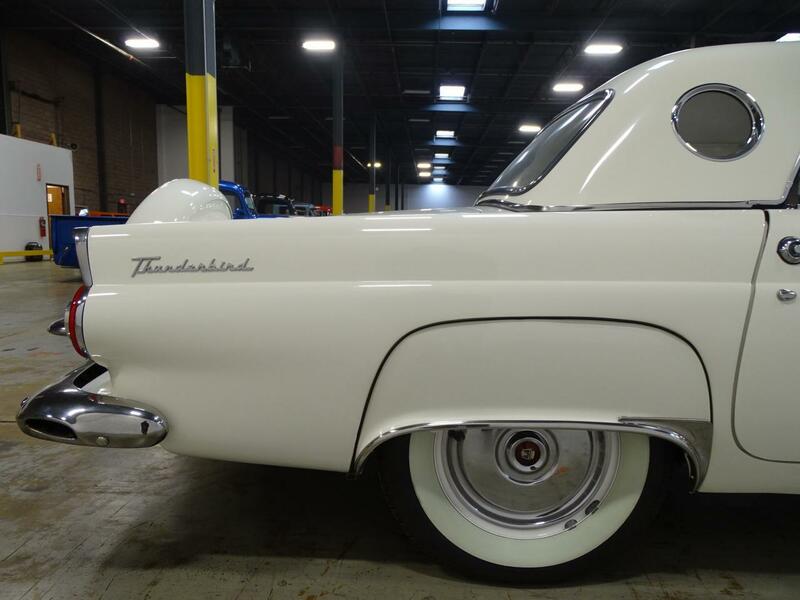 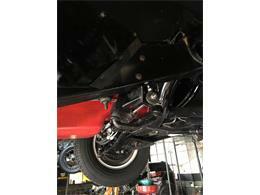 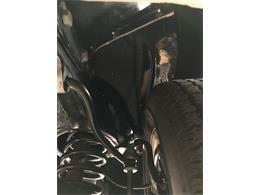 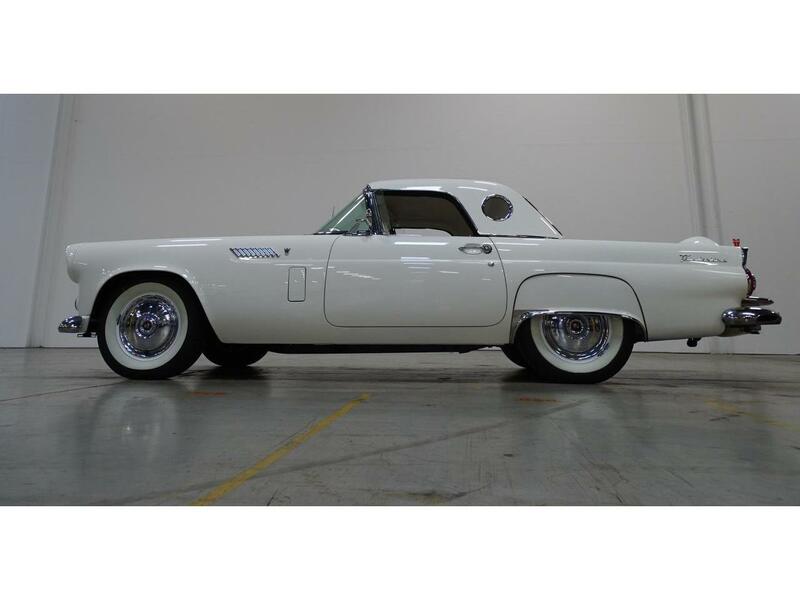 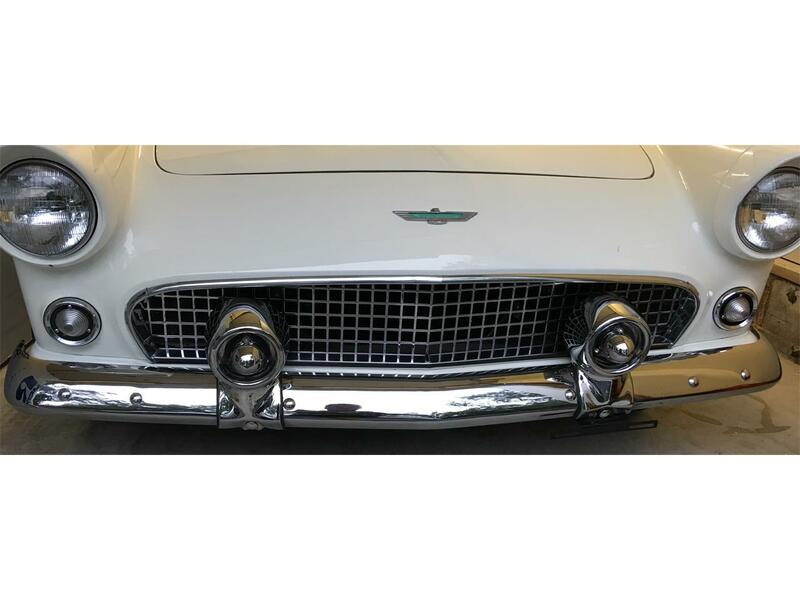 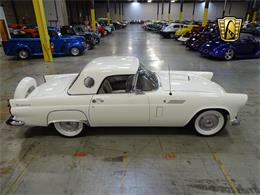 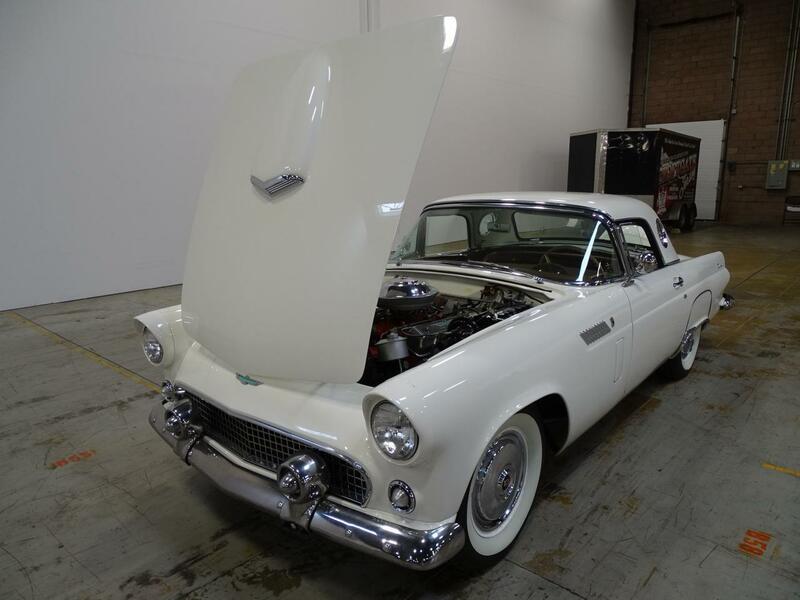 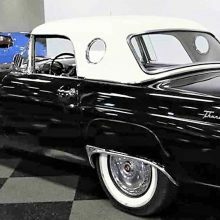 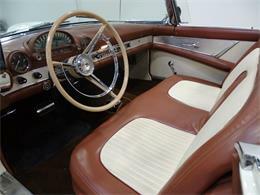 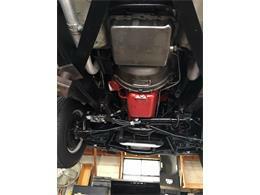 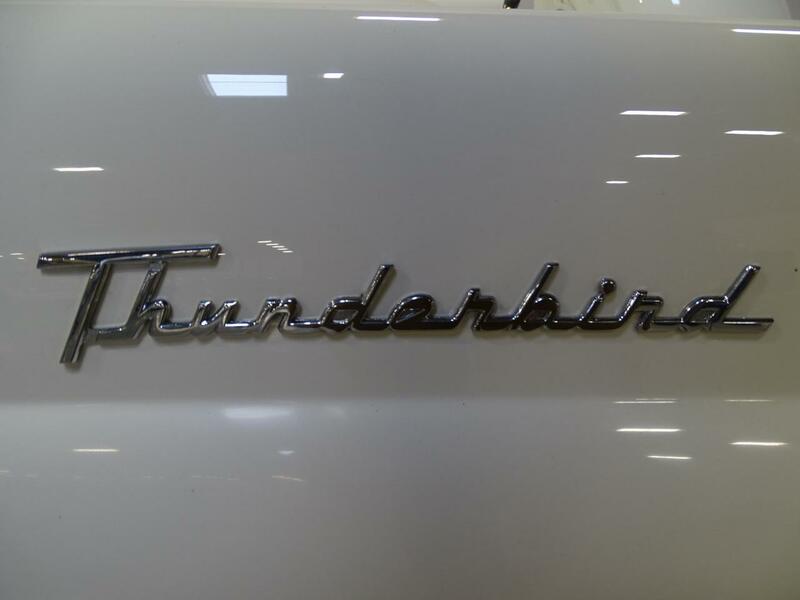 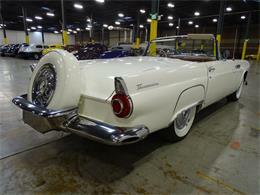 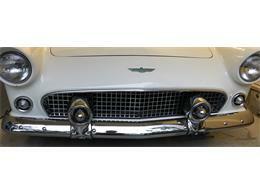 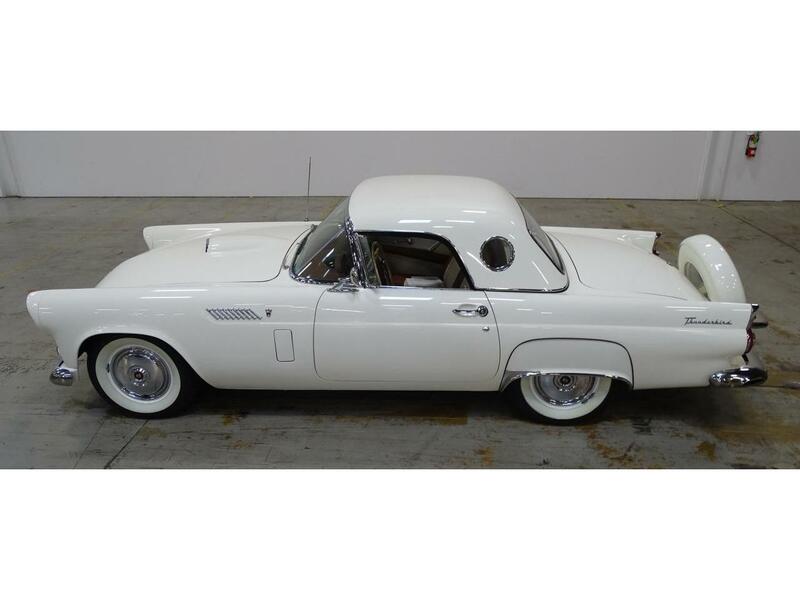 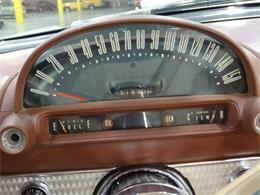 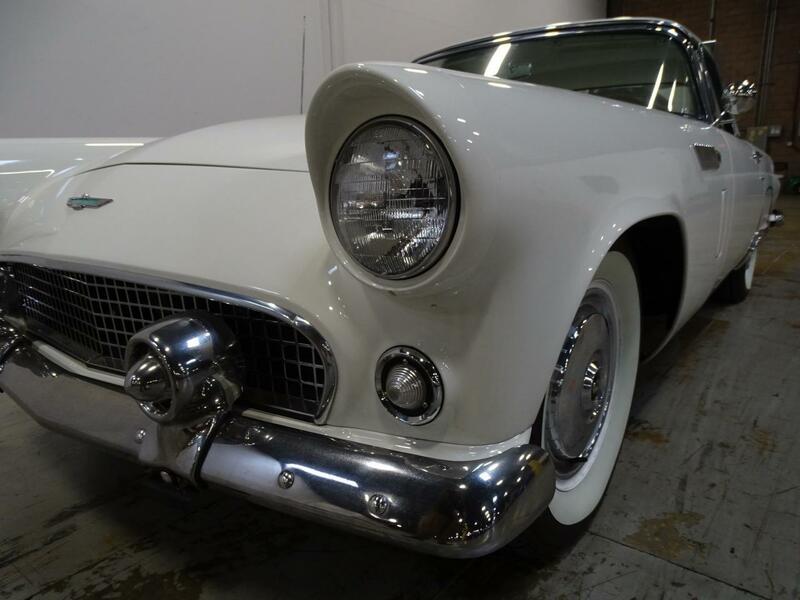 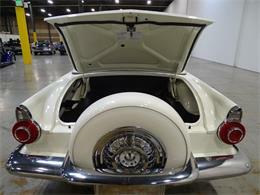 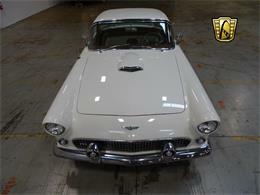 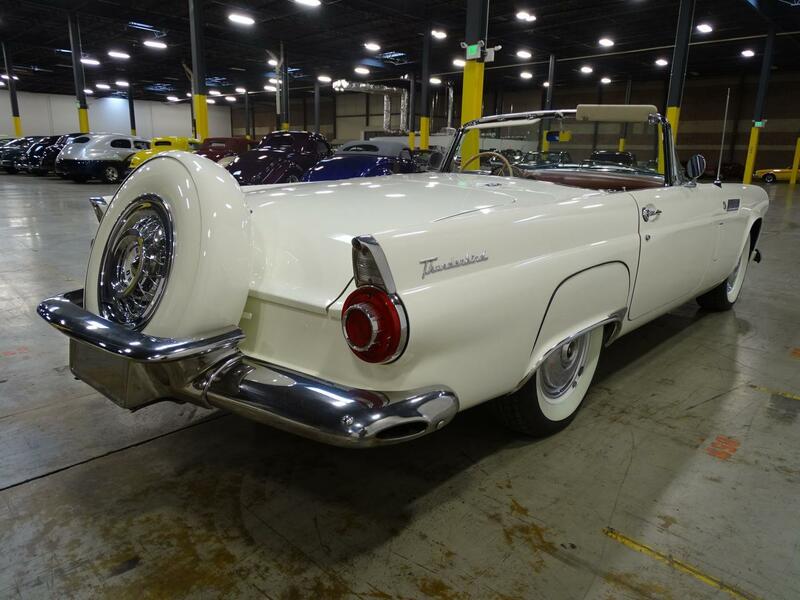 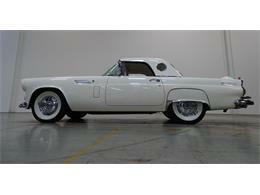 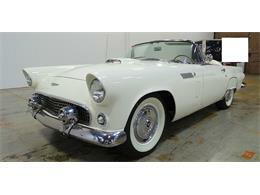 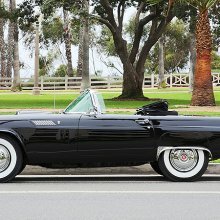 Please take a look at my 1956 Thunderbird for sale. 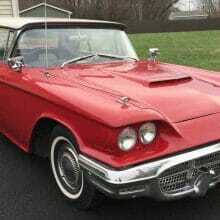 It has been in my family for 60 years, my grandfather having acquired it in 1958. 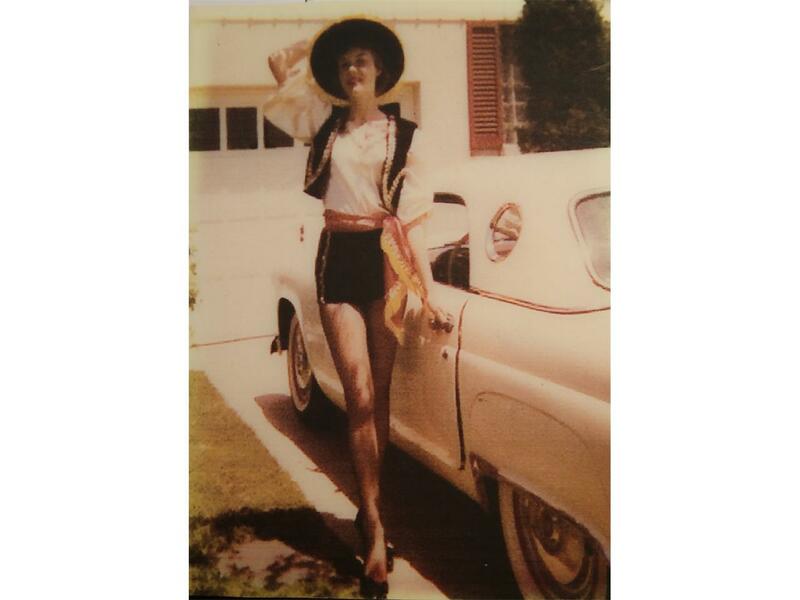 My mother, 18 at the time, enjoyed driving it around town. 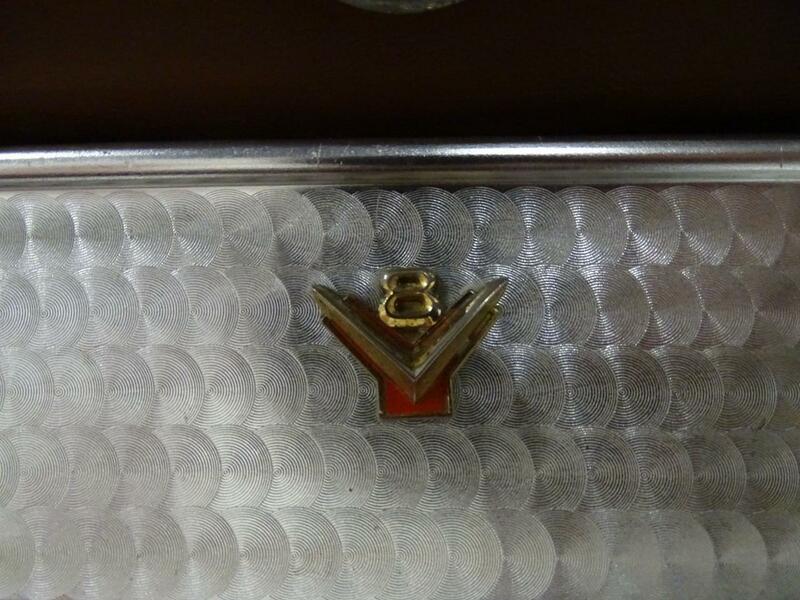 (During the restoration, we actually found Mom’s missing high school ring!) The last picture shows my mother, in her high school majorette uniform, posing with the car. 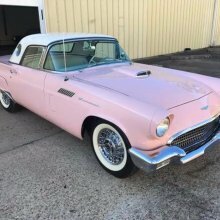 My mom enjoyed driving it for the next few years, until her younger sister and boyfriend borrowed it to drive to the prom. 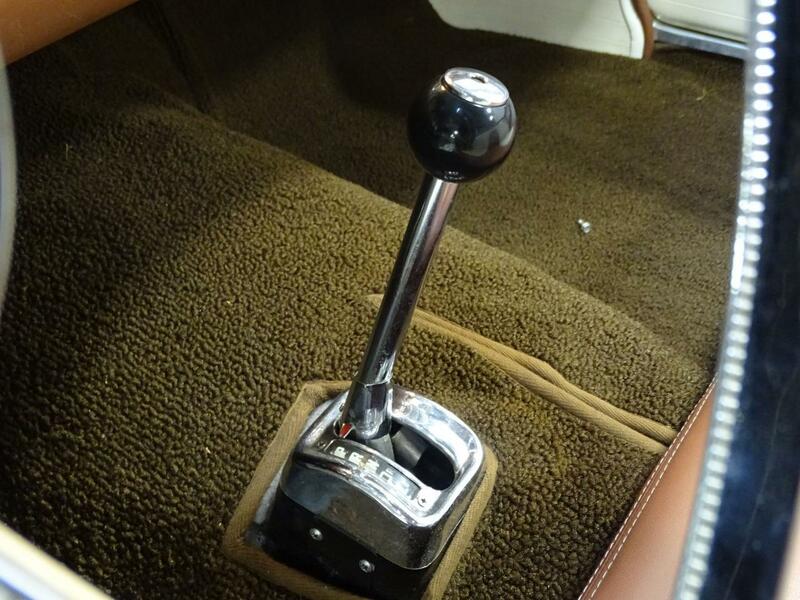 After the prom, there was some drag racing… Trying to be a hot shot, my (future) uncle manually shifted the 3-speed automatic transmission. 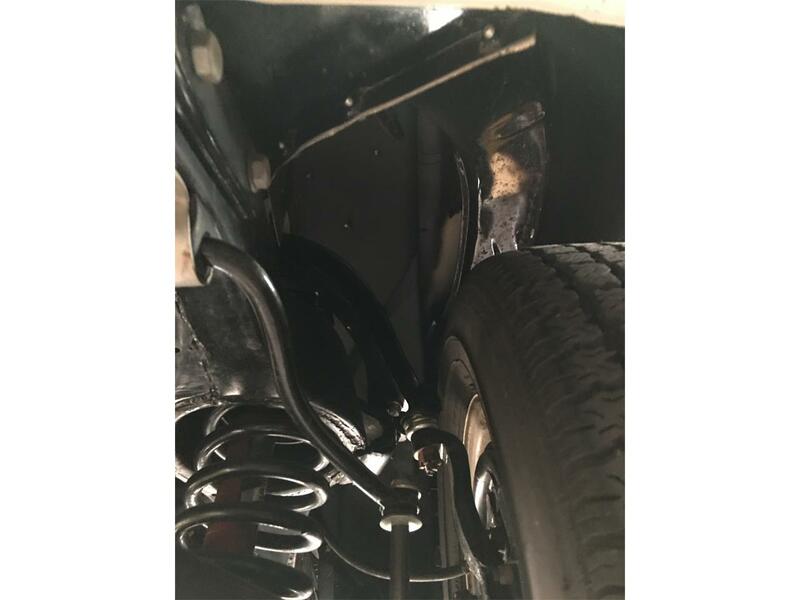 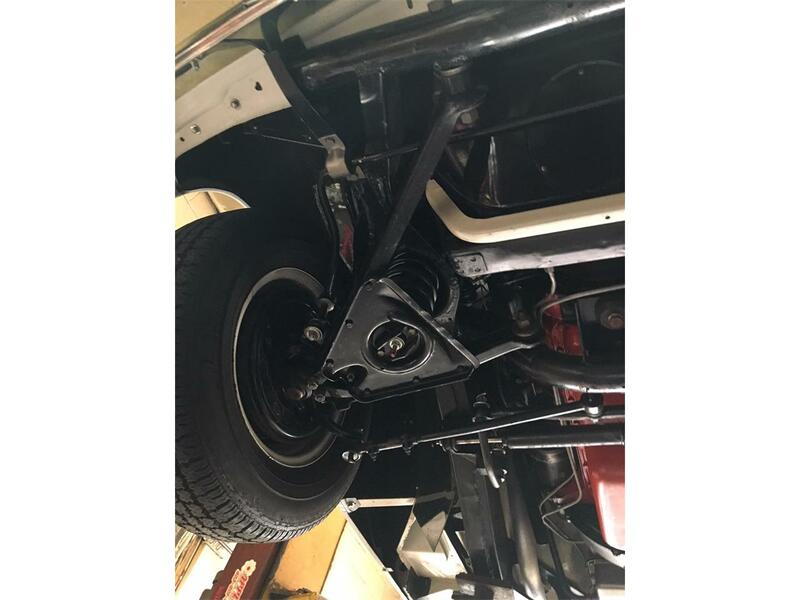 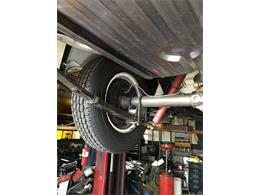 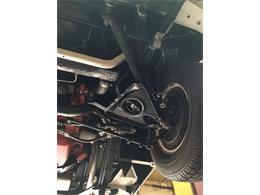 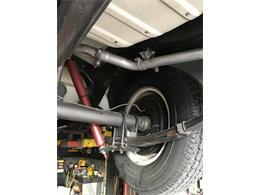 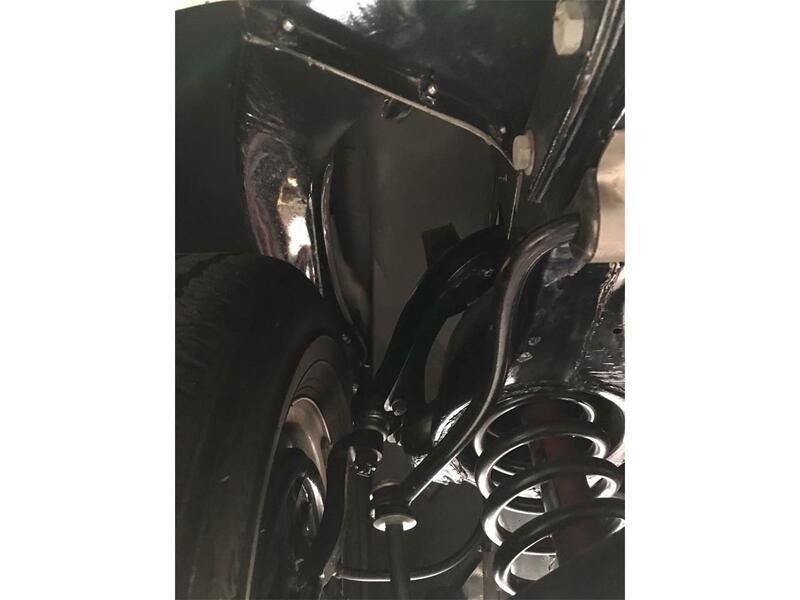 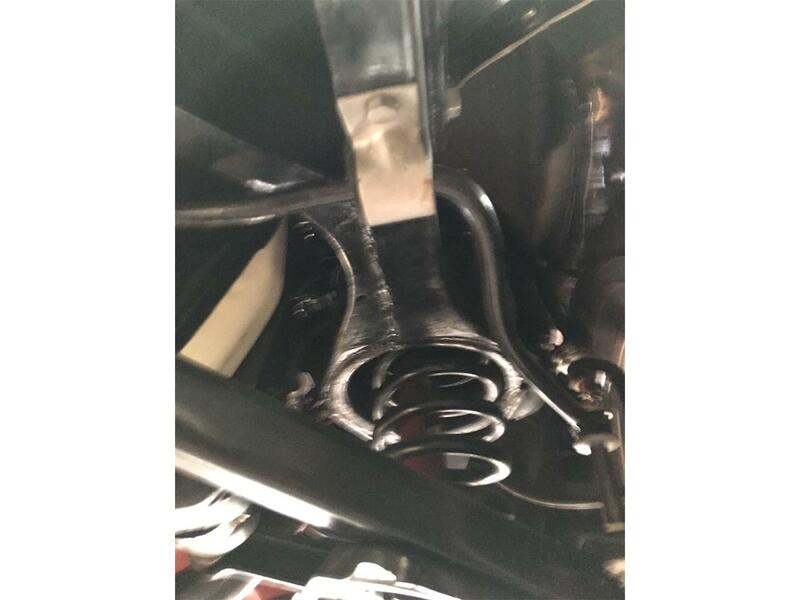 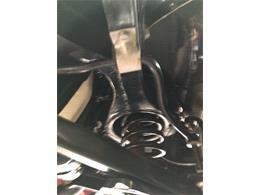 As he shifted from Low to Drive, he used too much force and mistakenly shifted into reverse, damaging the transmission. 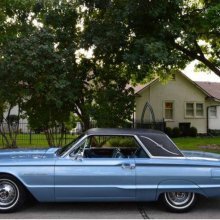 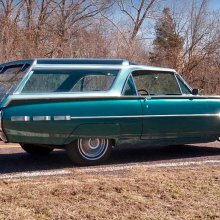 It was the spring of 1962, and the car, just six years old, was pushed into my grandfather’s garage where it sat high and dry for the next 30 years. 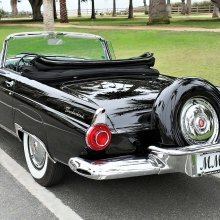 After the death of my grandfather in 1992, I purchased the car from my grandmother. I rolled it out of her garage and crawled under the car to assess the condition. I found it to be pristine; the garage where it had rested had preserved it wonderfully. 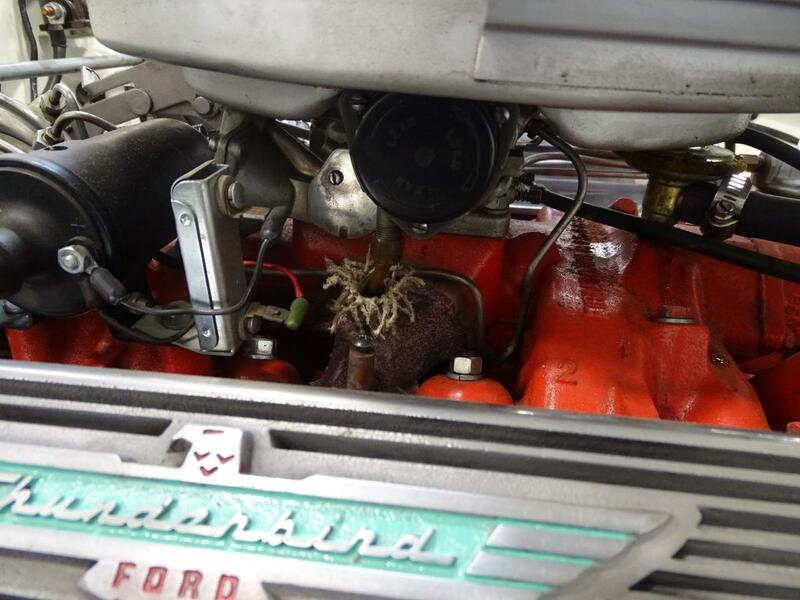 My grandfather had removed the battery when he stored it, eliminating the chance of corrosion. 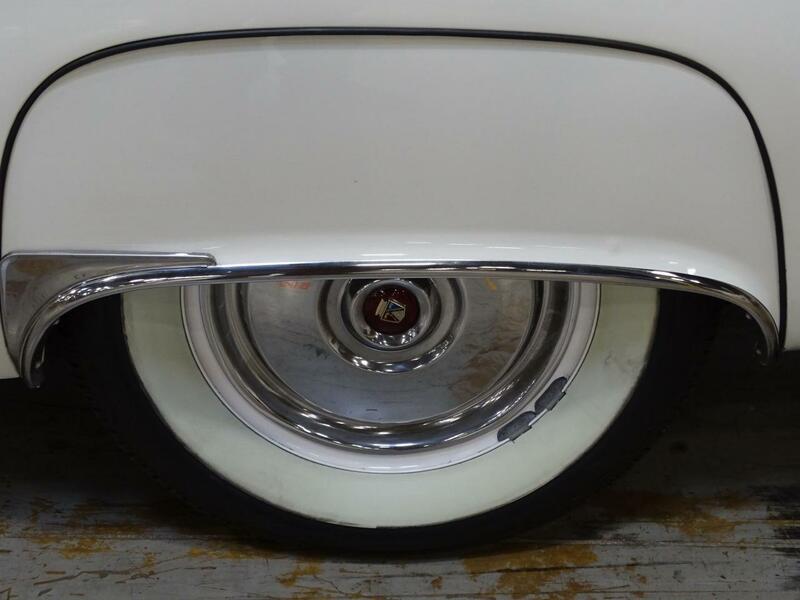 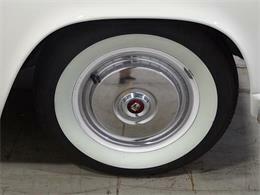 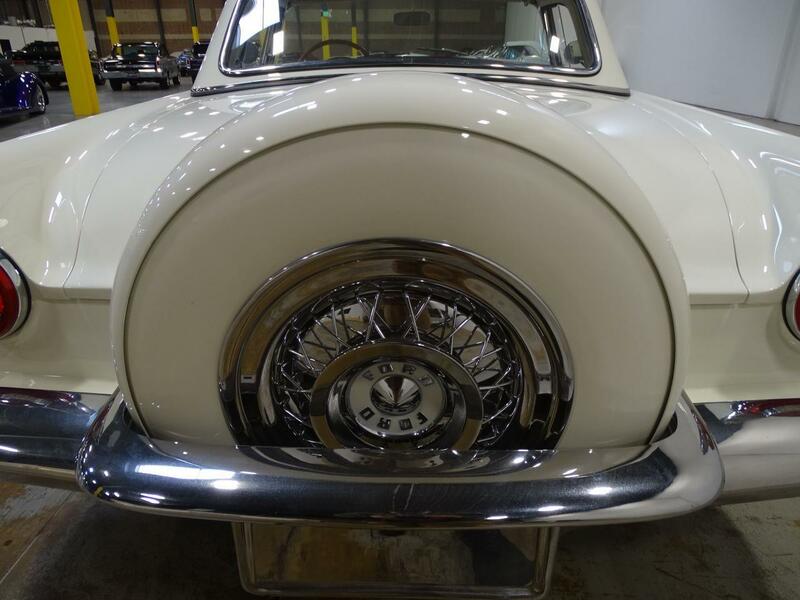 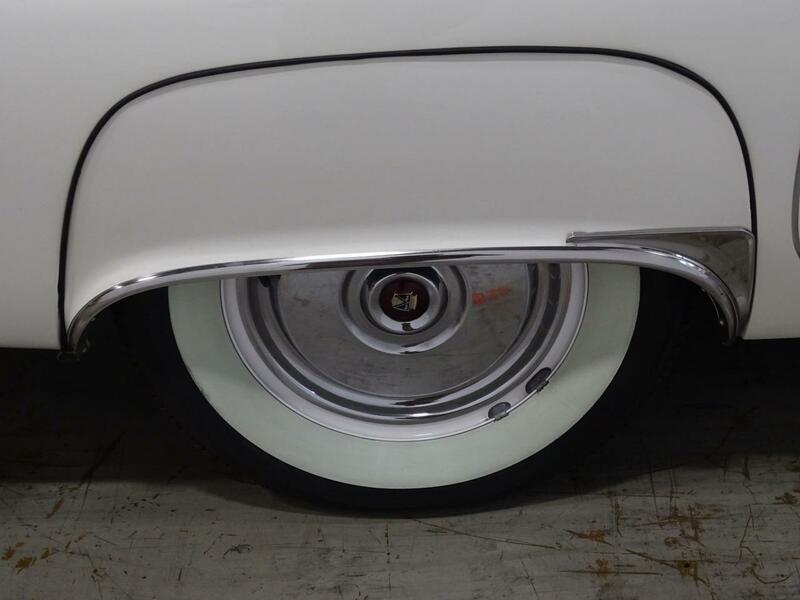 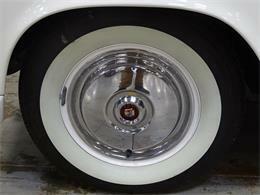 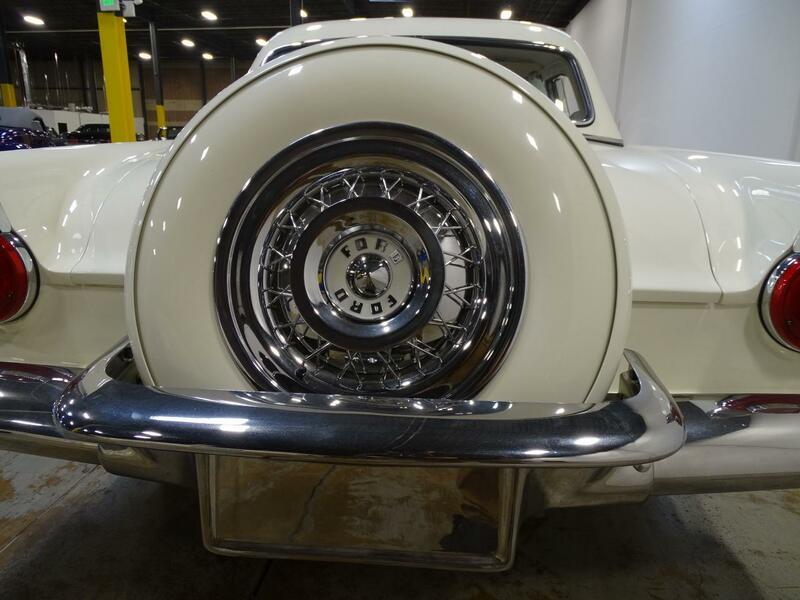 The original Firestone whitewalls were flat, but held air when I pumped them up. 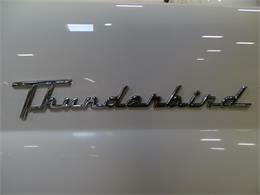 I cleaned the dust off and found absolutely no rust or body damage. 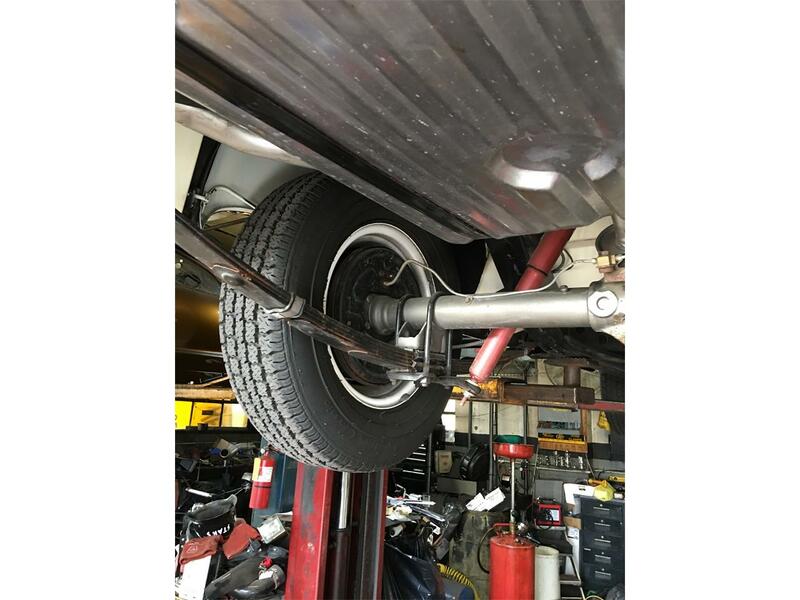 I loaded the car on a trailer and took it home to my own garage. 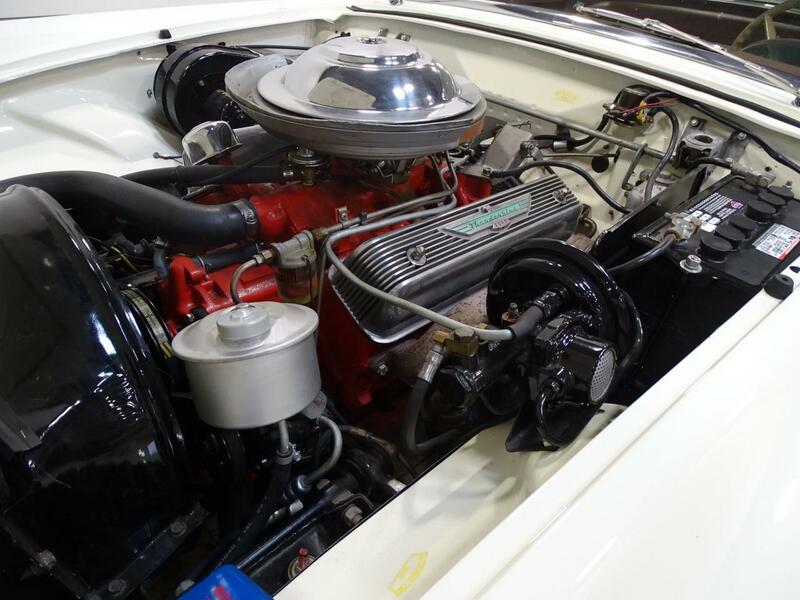 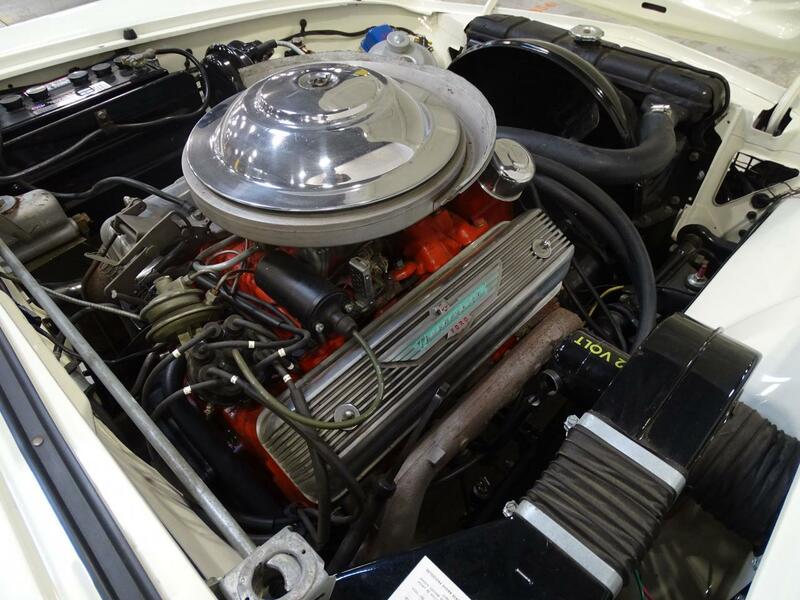 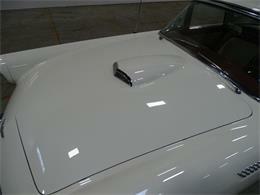 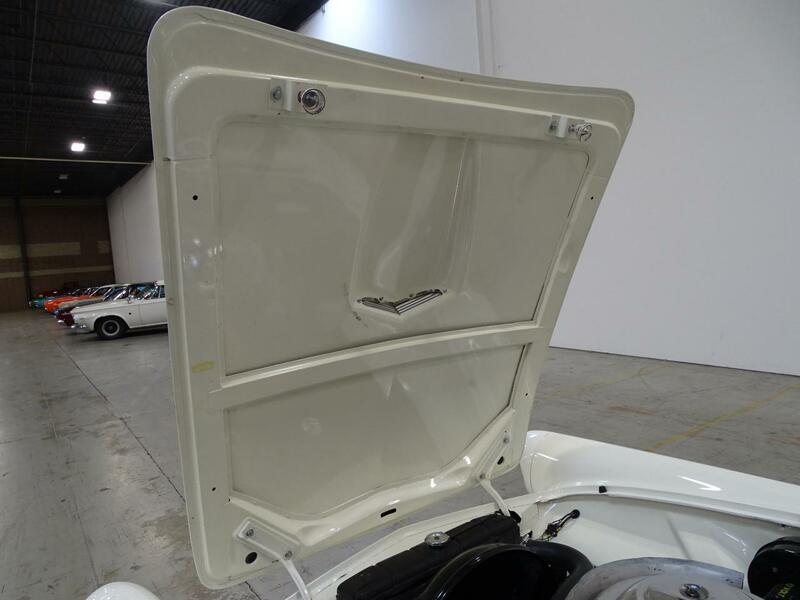 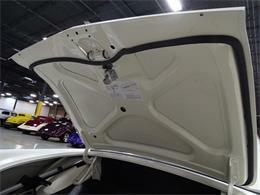 I had the best professionals perform the frame-off restoration. 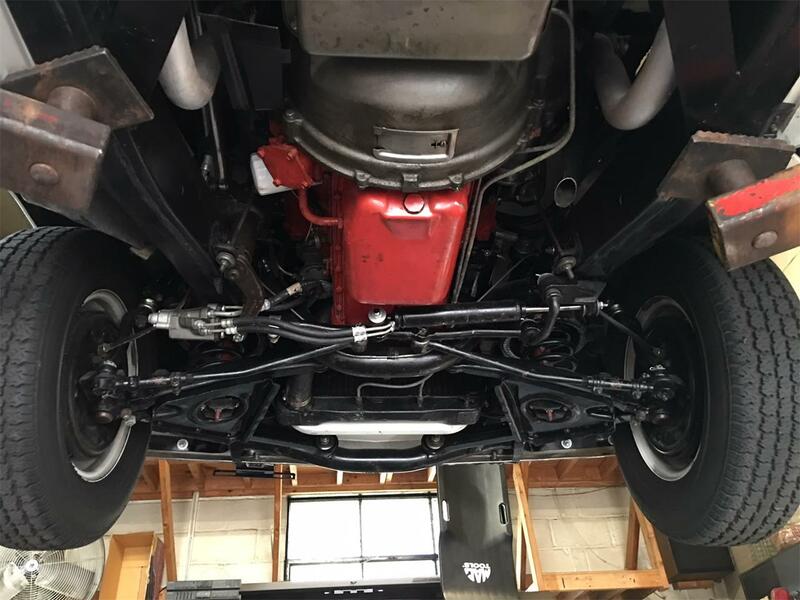 The transmission was rebuilt and the engine professionally torn down and rebuilt; there are approximately 2,000 miles on them now. 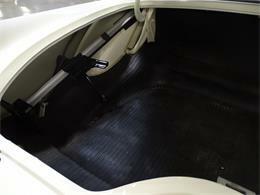 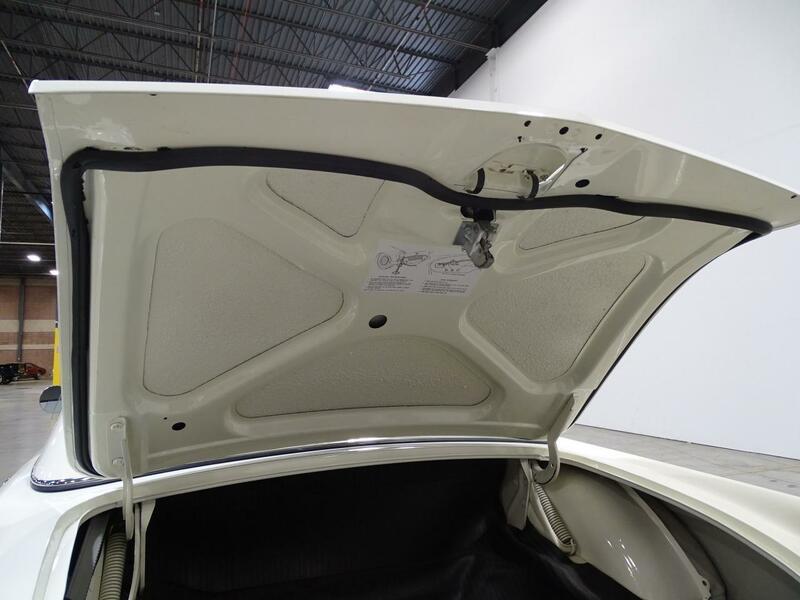 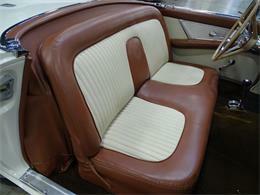 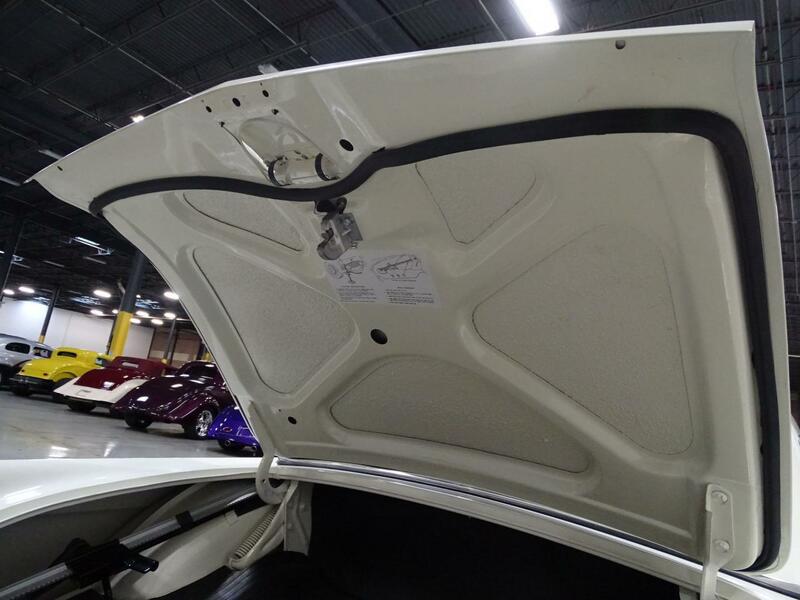 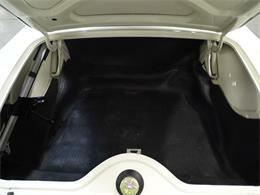 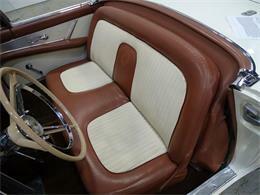 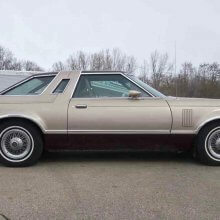 On the body, only the door gaskets, interior door panels, upholstery and carpet needed to be replaced. 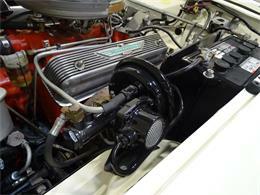 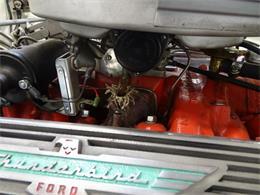 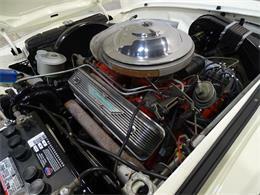 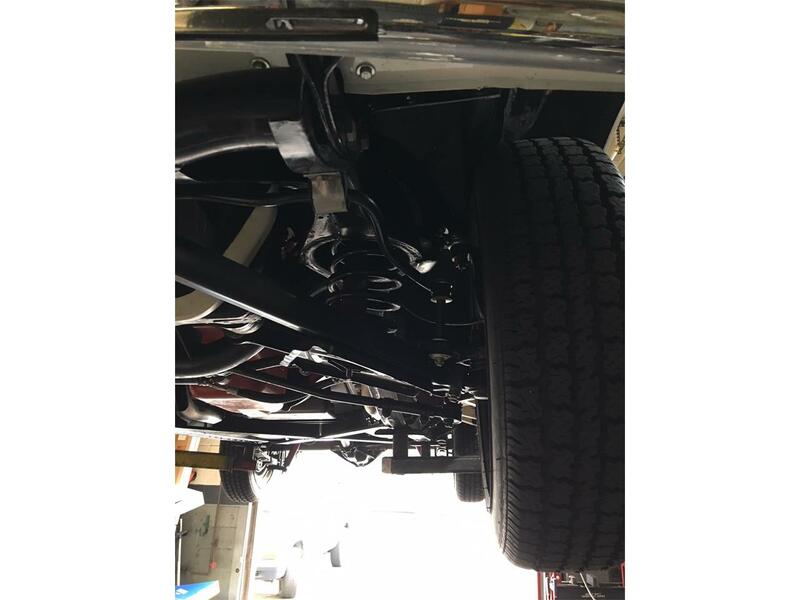 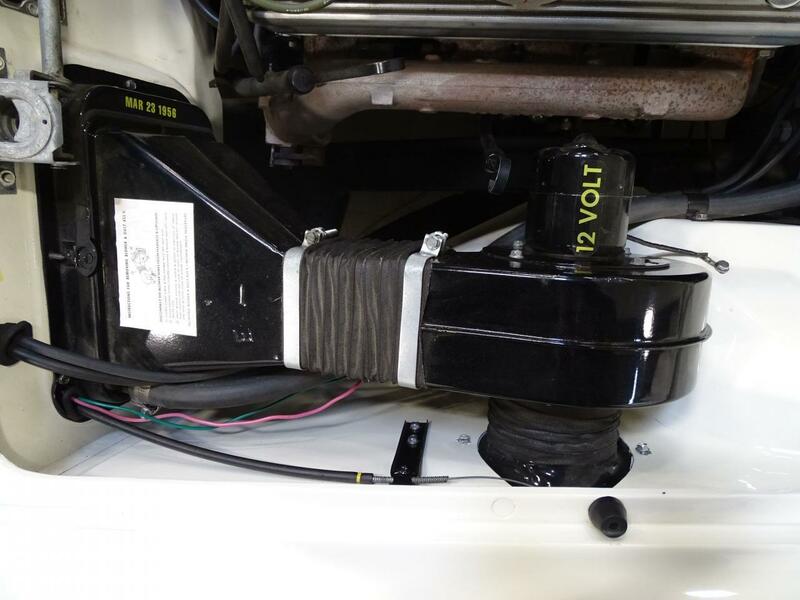 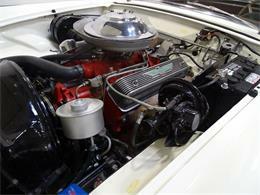 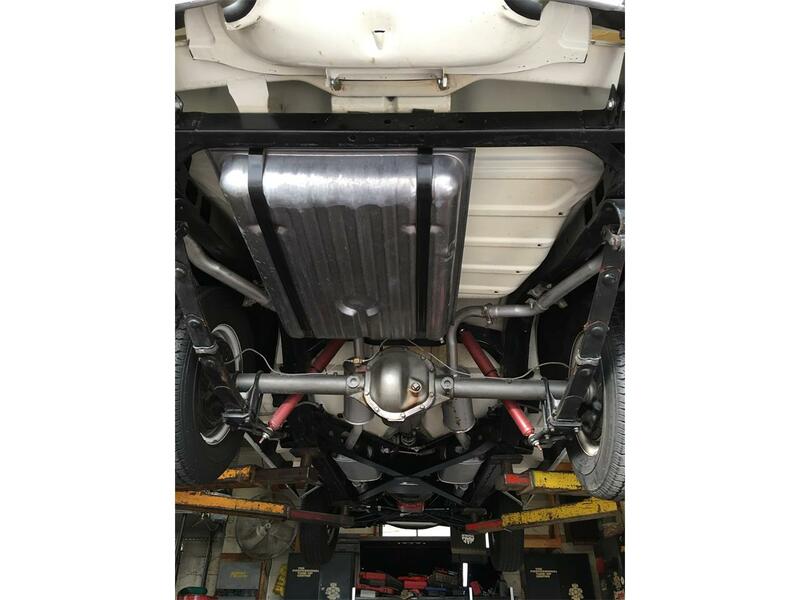 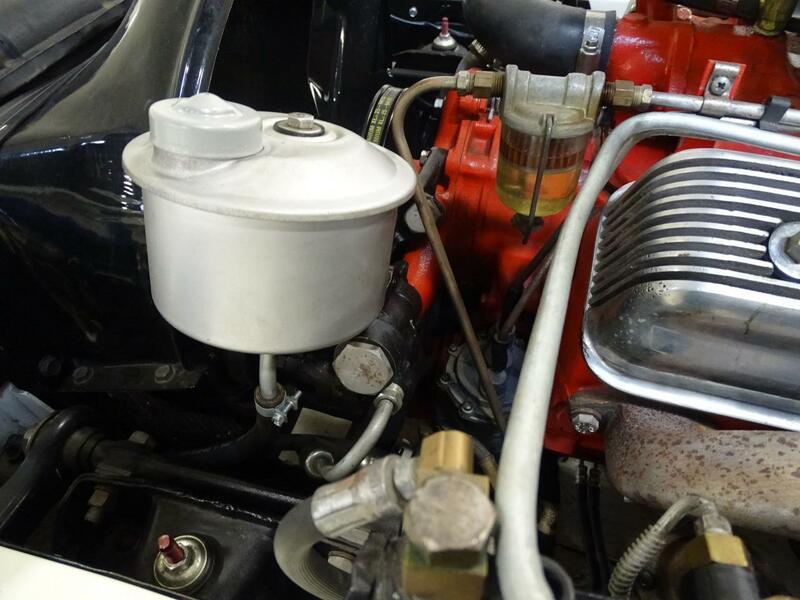 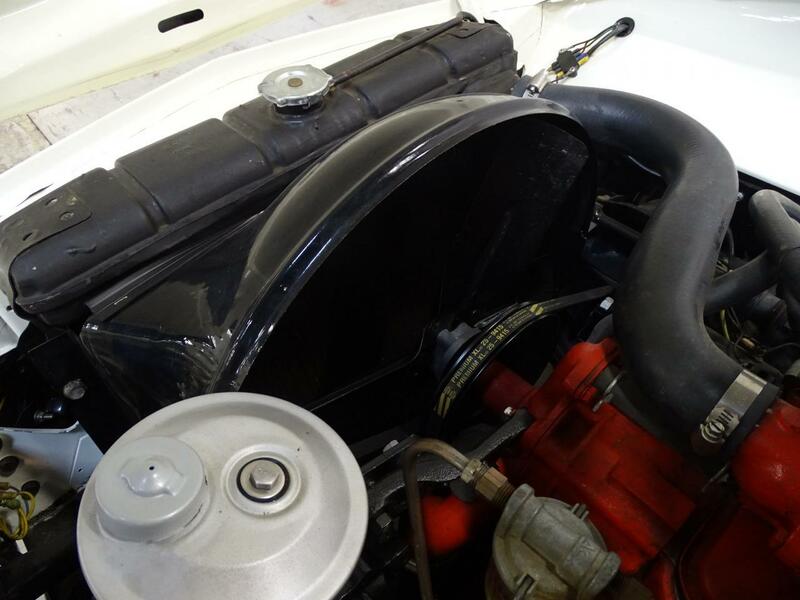 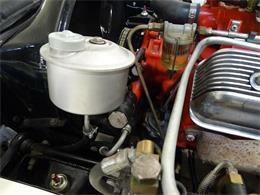 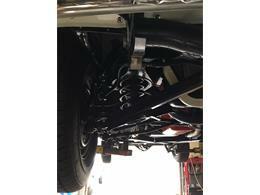 I did replace the fuel lines, gas tank, rubber hoses and plug wires, to ensure reliability. 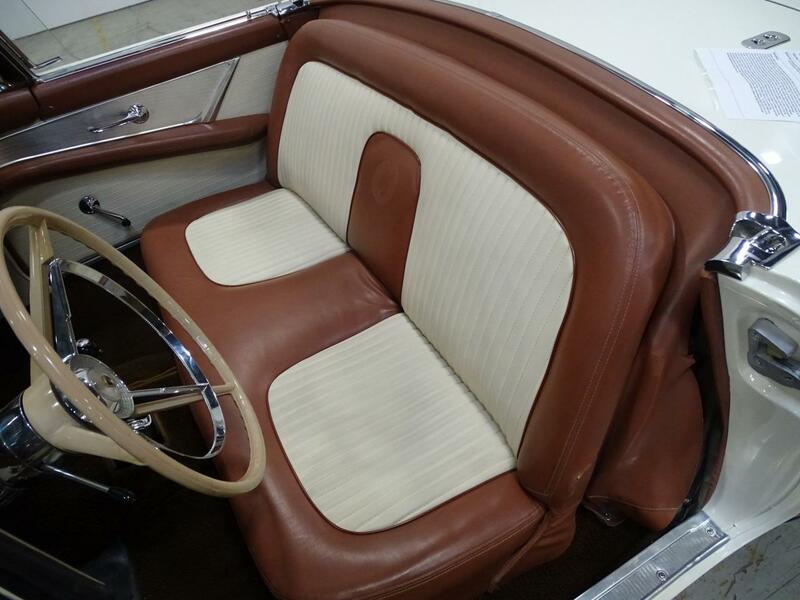 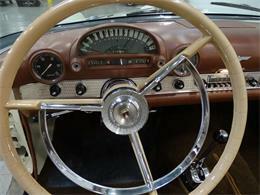 Everything else is original - from the headlight bezels and metal trim to the rag top to the padded dash; all are still in place. 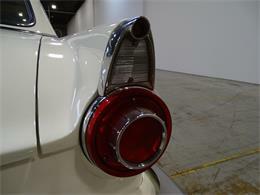 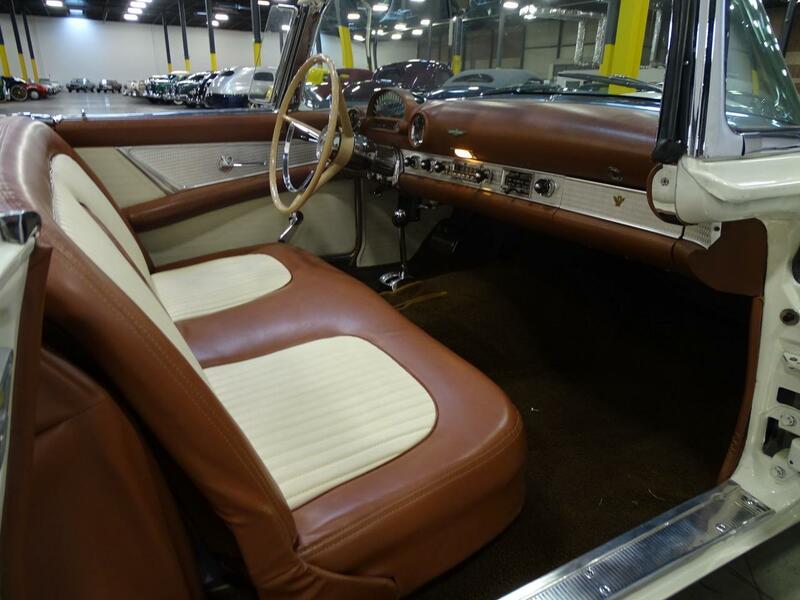 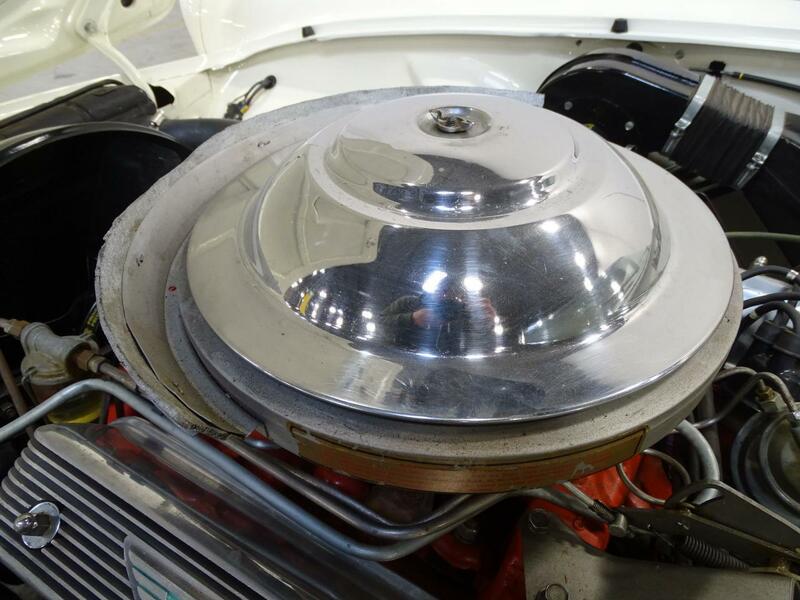 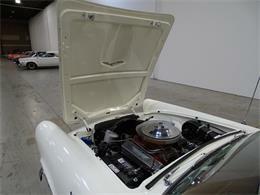 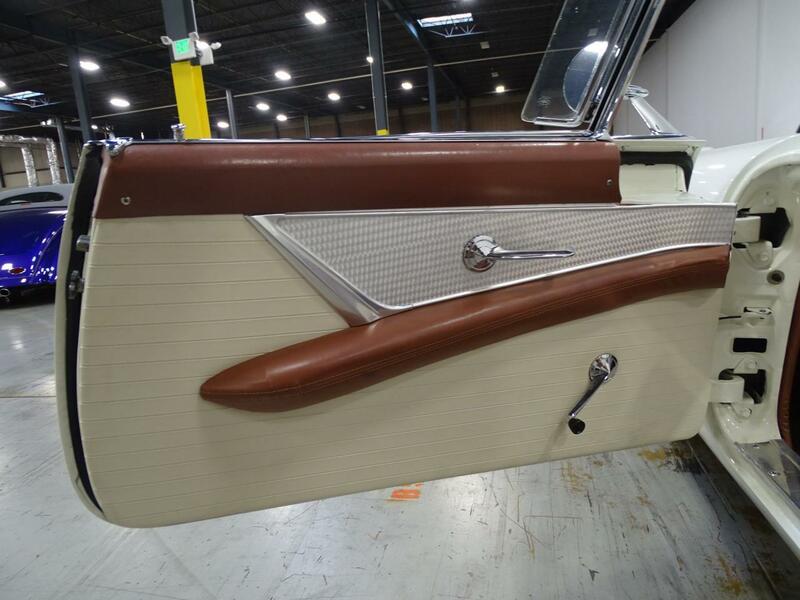 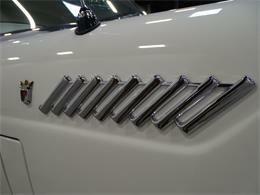 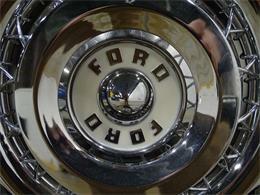 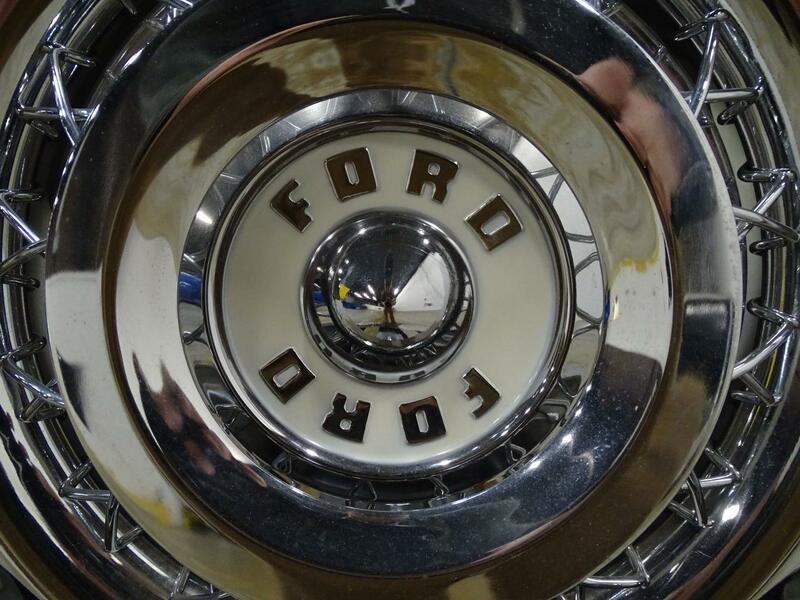 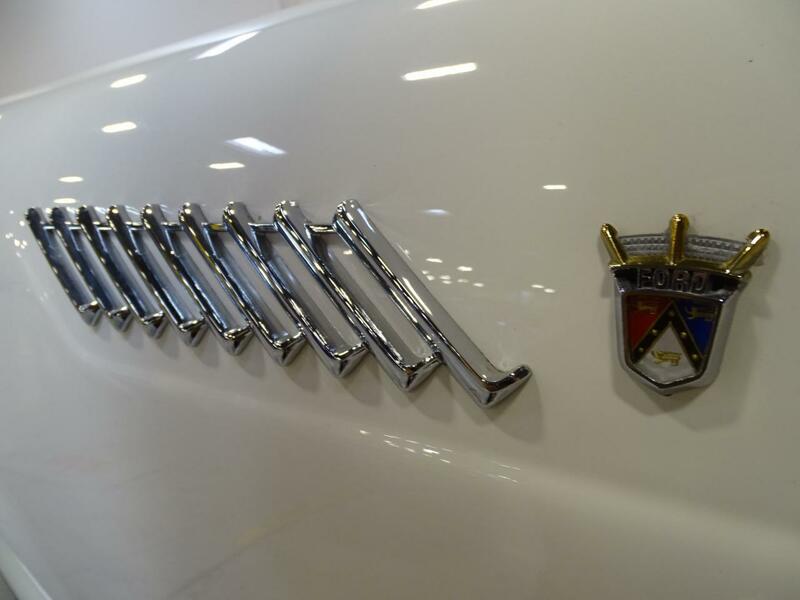 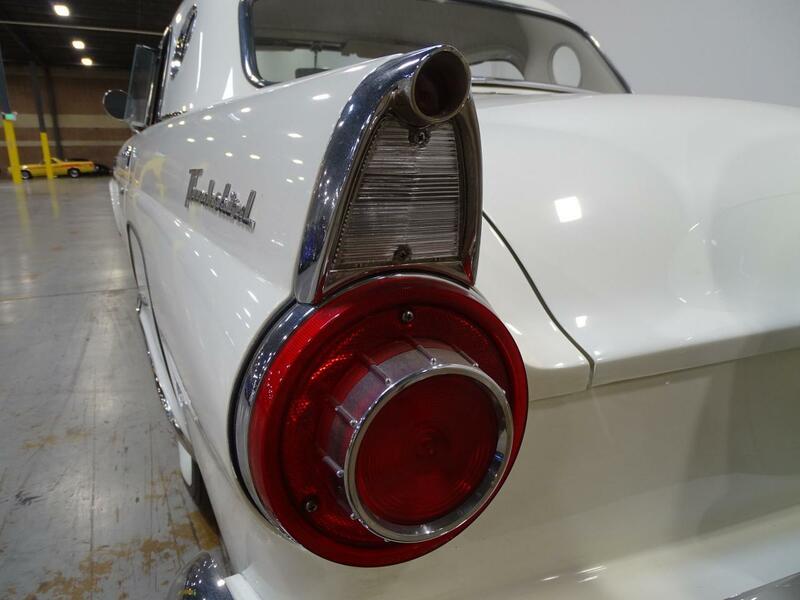 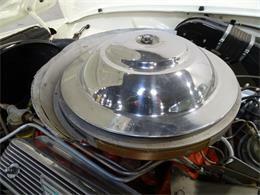 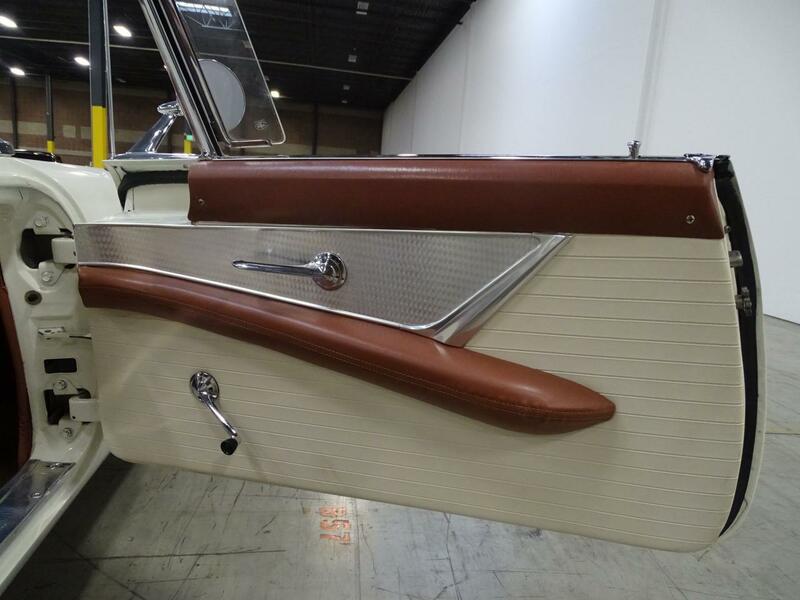 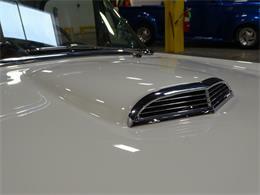 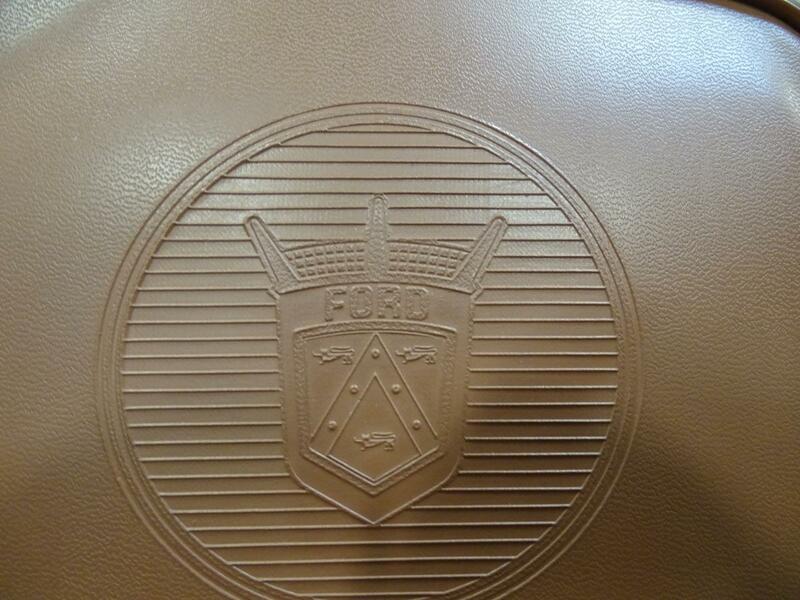 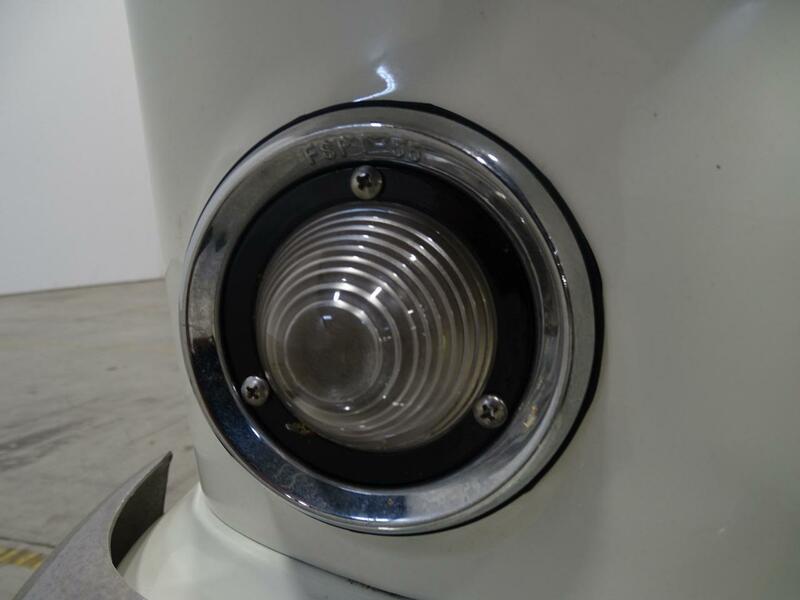 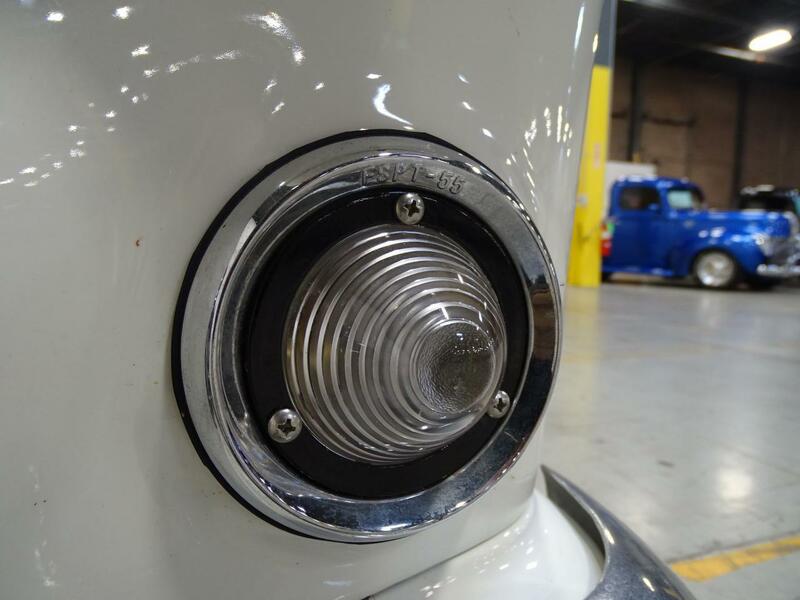 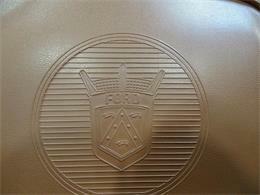 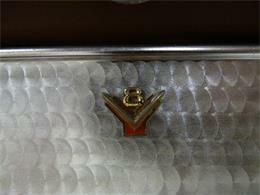 The original chrome was sent out to be re-chromed and looks showroom-new. 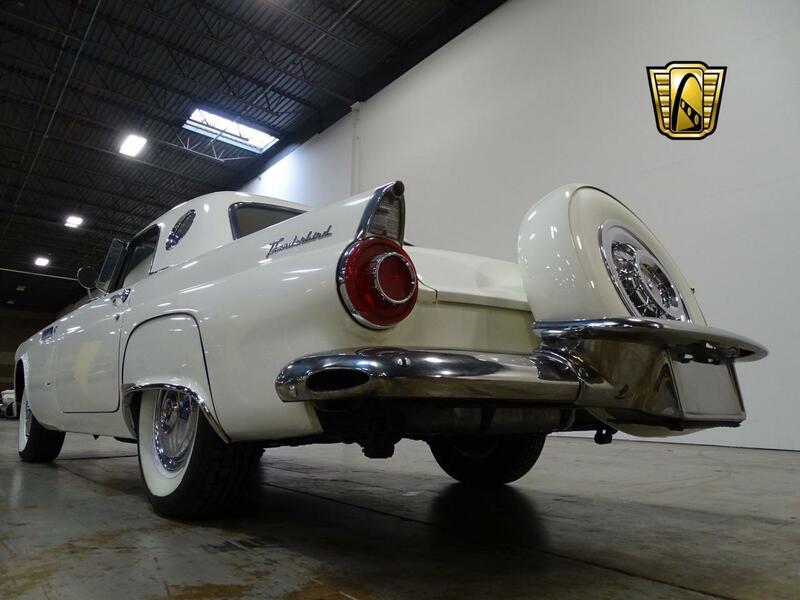 The body was never damaged or rusted; after all, it had only been on the road for 6 years before being placed in dry storage! 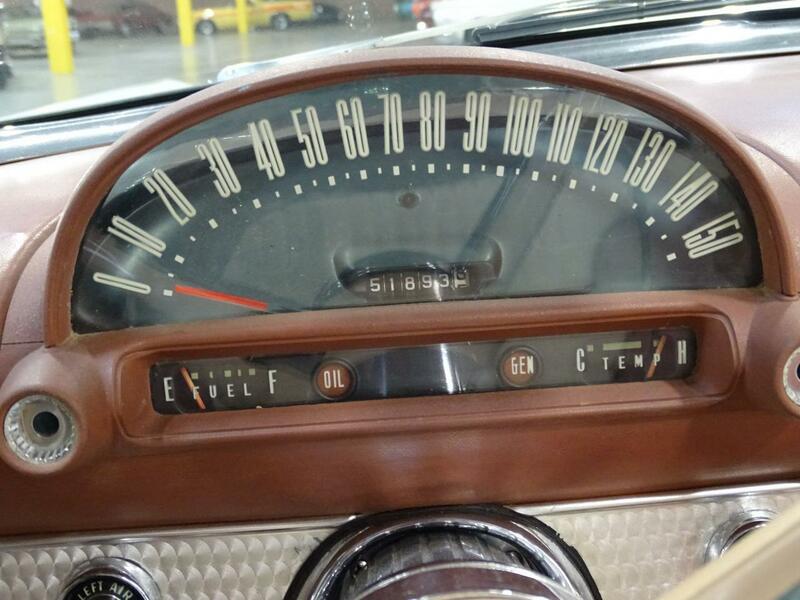 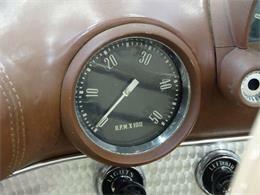 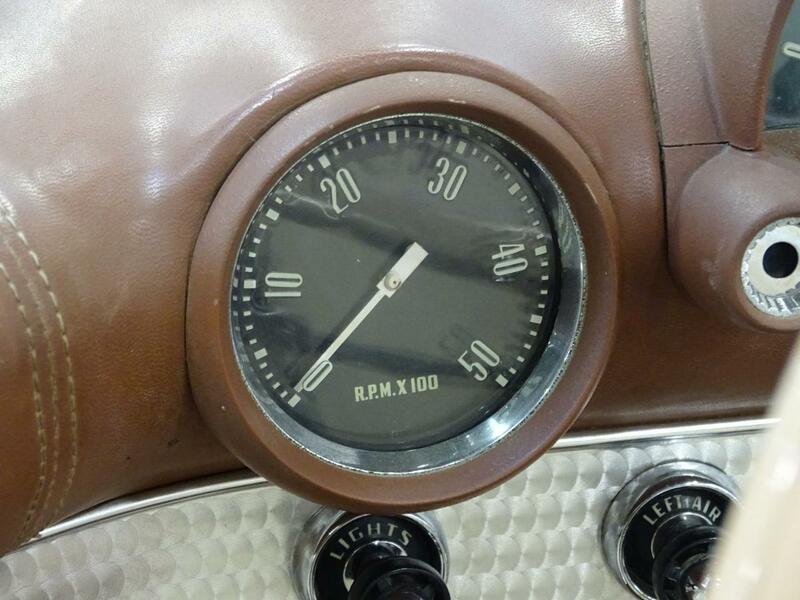 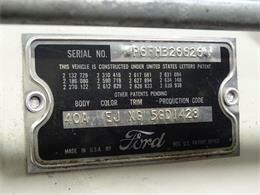 The car has 51,923 original miles and a solid “2+” Hagarty rating. When the car was completed, I started taking it to local shows, winning a trophy at every one. 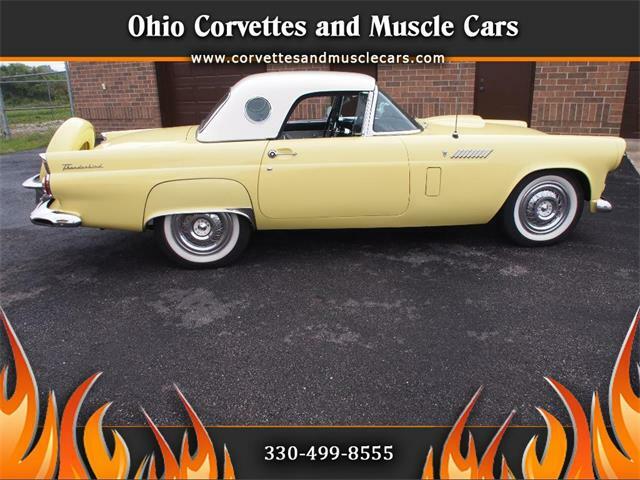 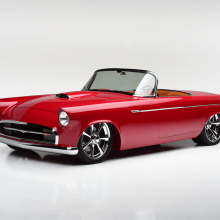 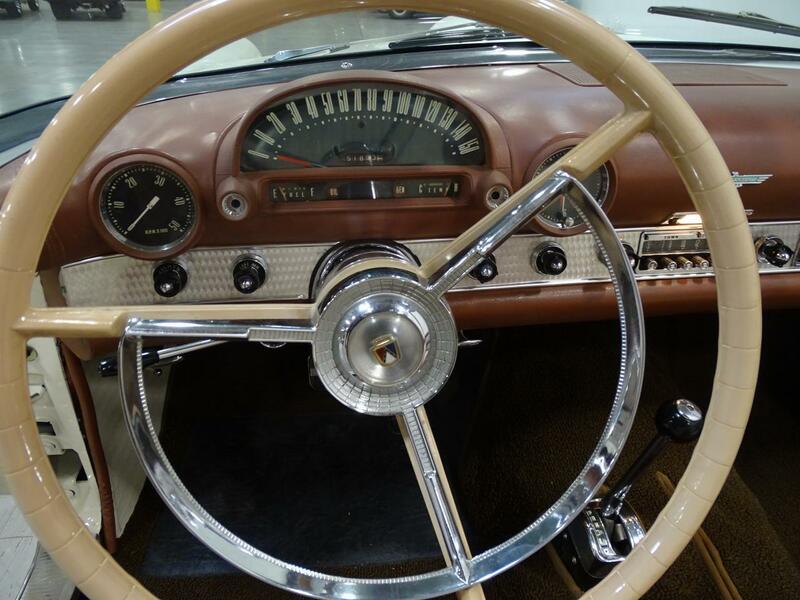 It is a pleasure to drive, with power steering, power breaks and radial tires – and it’s a pleasure to watch the heads turn as you drive it down the street! 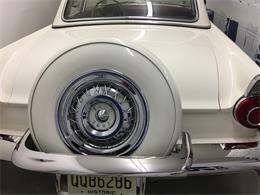 But now it’s time for someone else to enjoy the fun.